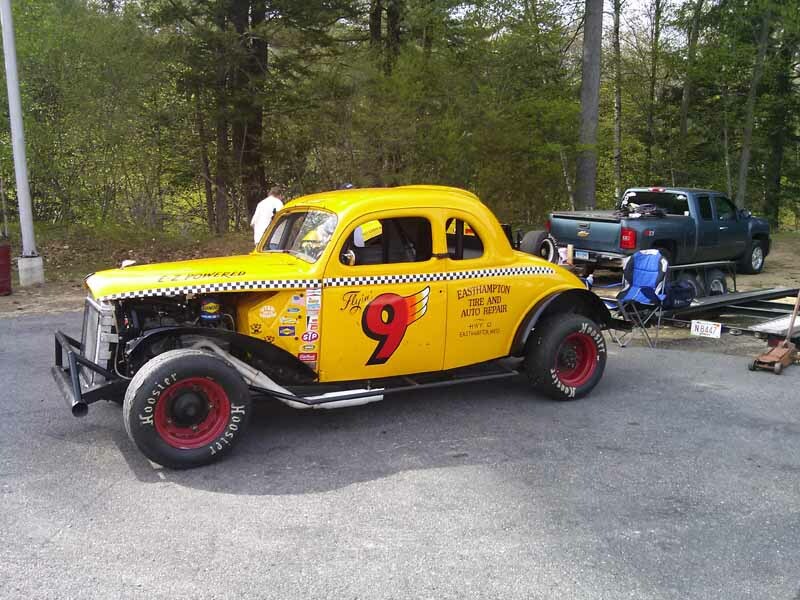 NEAR Hall of Famer Leo Cleary Passes : Memorial 3/3/17 in Ma. 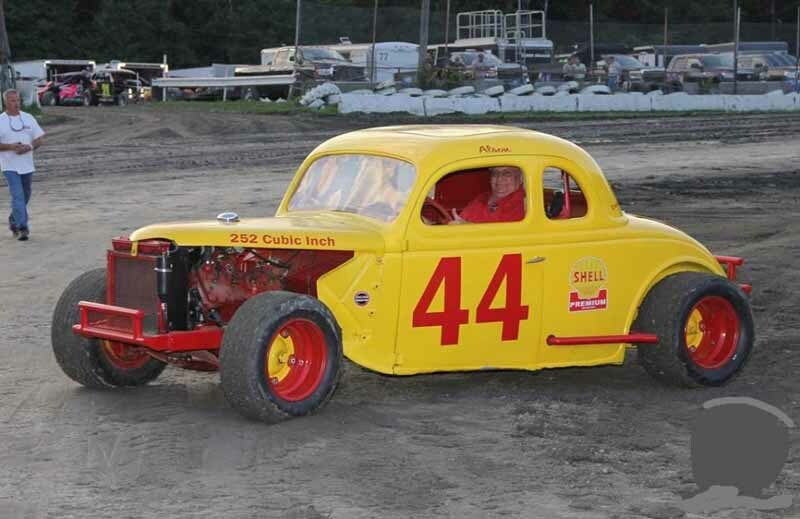 Word arrived from Florida that 1999 New England Auto Racing Hall of Fame inductee Leo Cleary has passed away at age-88. 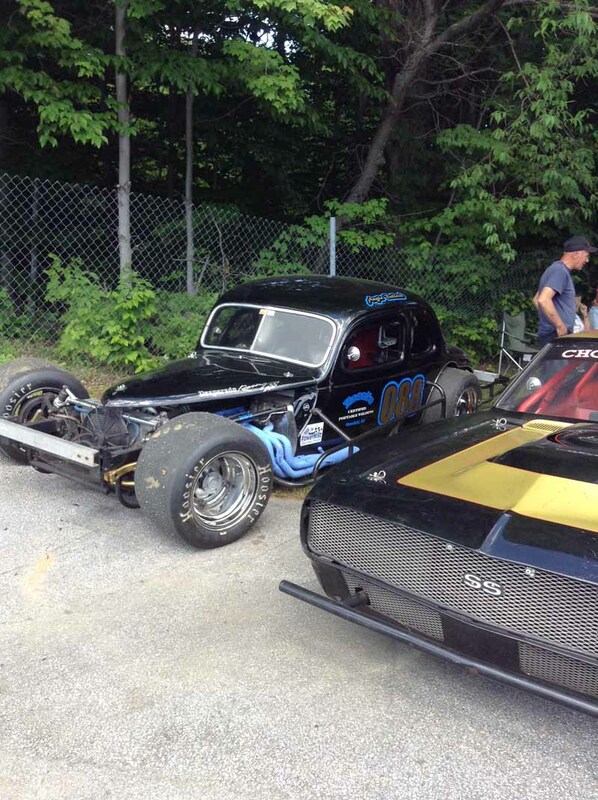 Arrangements are incomplete at this time. 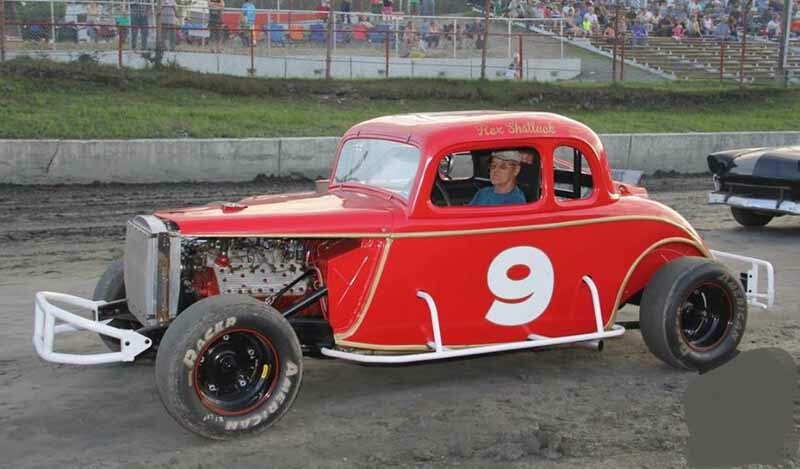 The entire NEAR family extends its sincere condolences to Leo’s family & many friends. 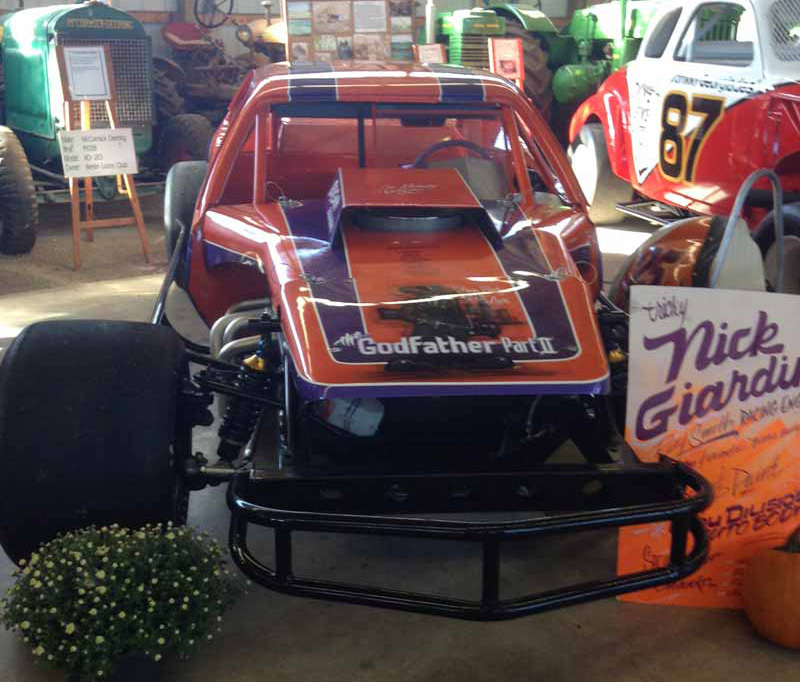 Below is an excerpt from his New England Auto Racing Hall of Fame Biography. 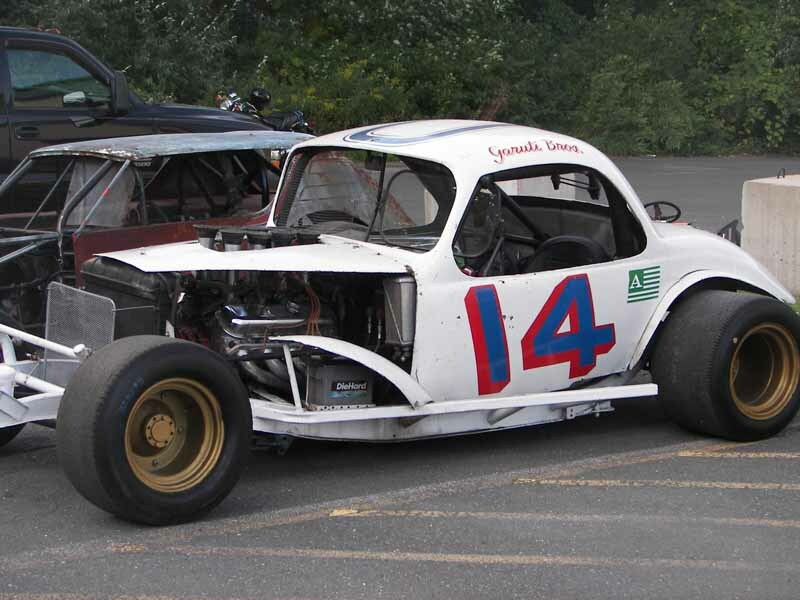 Accompanying photos are courtesy of the Dave Dykes’ Racing Through Time website. 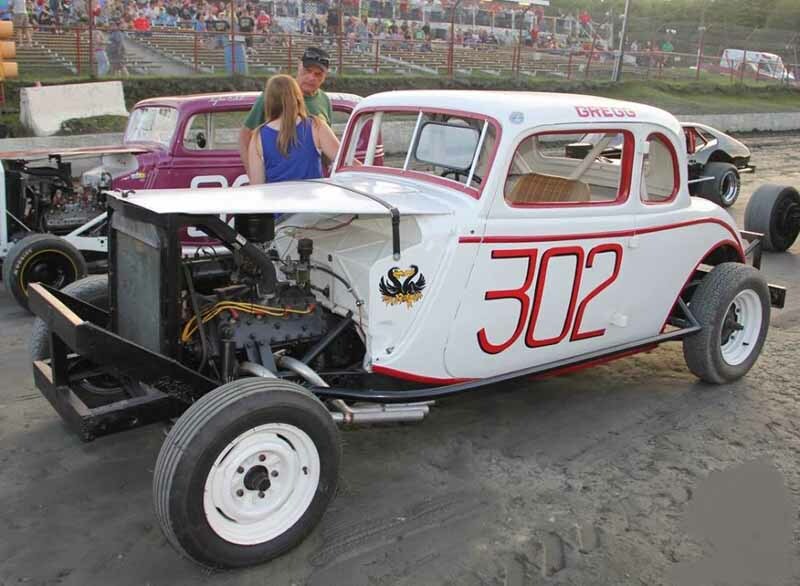 Ask most retired drivers what tracks they raced at, and you might get the name of one, two or maybe a half dozen tracks. 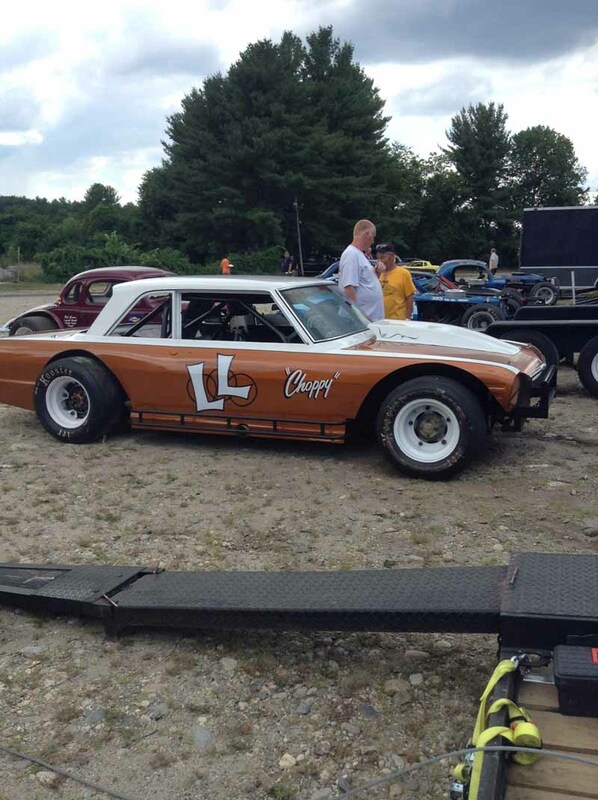 Ask Leo “The Lion” Cleary and you had better have some time to listen. 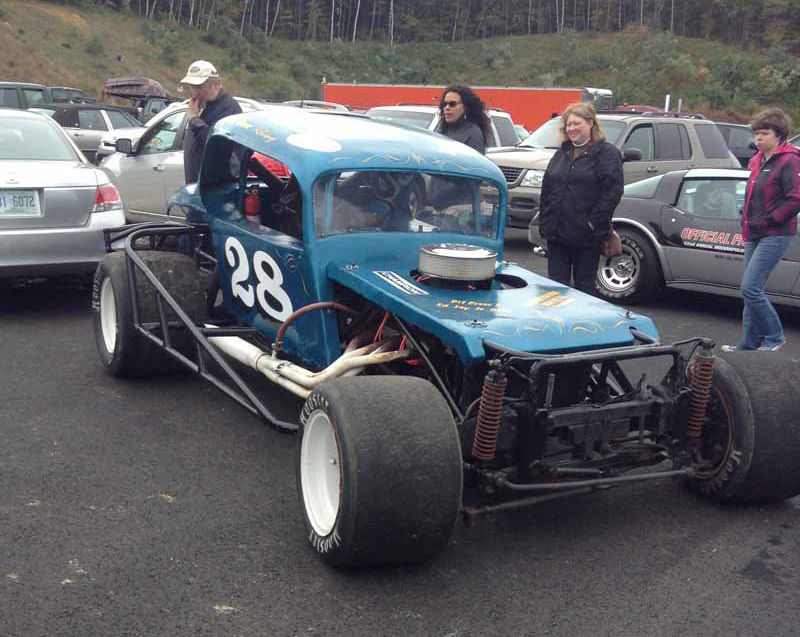 Leo competed at the Medford Bowl, Lonsdale, Norwood, Catamount, and Westboro. Among active tracks, he raced at Thompson, Seekonk, Stafford, Martinsville, Oswego, Waterford, and New Smyrna, along with several others. 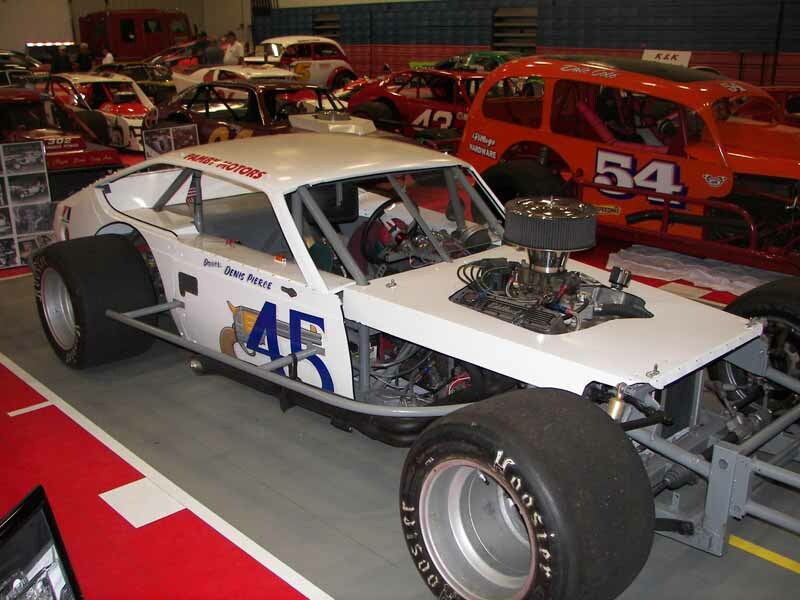 In his 44 years behind the wheel, Cleary took down 14 track championships, including the Norwood Arena, Seekonk, and Thompson. 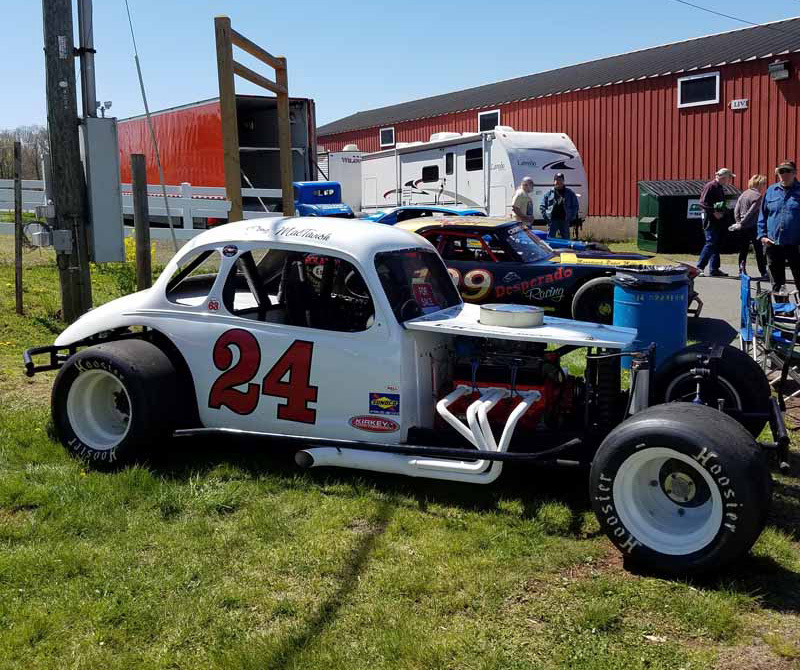 These championships have come behind the wheel of jalopies, cutdowns, full coupes, modifieds, pro-stocks, and mini modifieds. 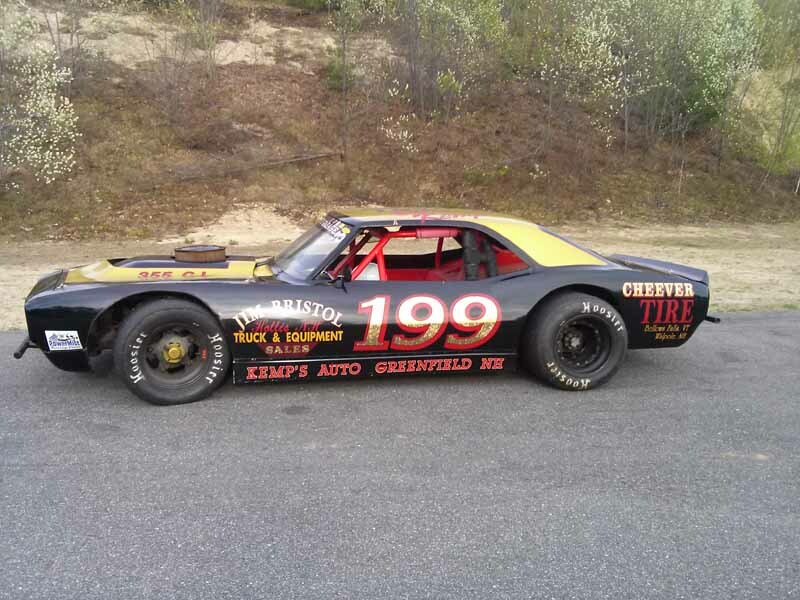 At age 58, when most people are busy planning their retirement, Cleary was busy planning his season at Seekonk, where he took down the 1986 pro stock championship. 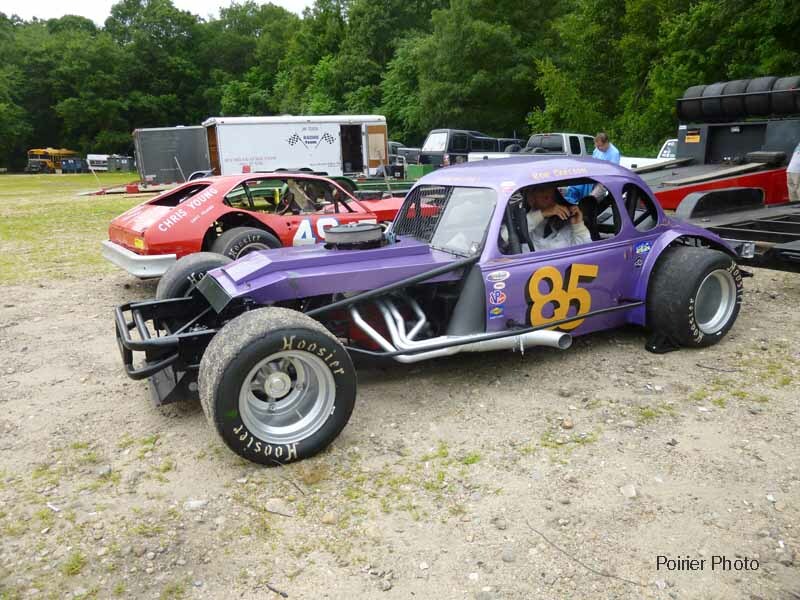 The next year, the 59-year-old Cleary switched to mini modifieds, again winning the Seekonk Championship. 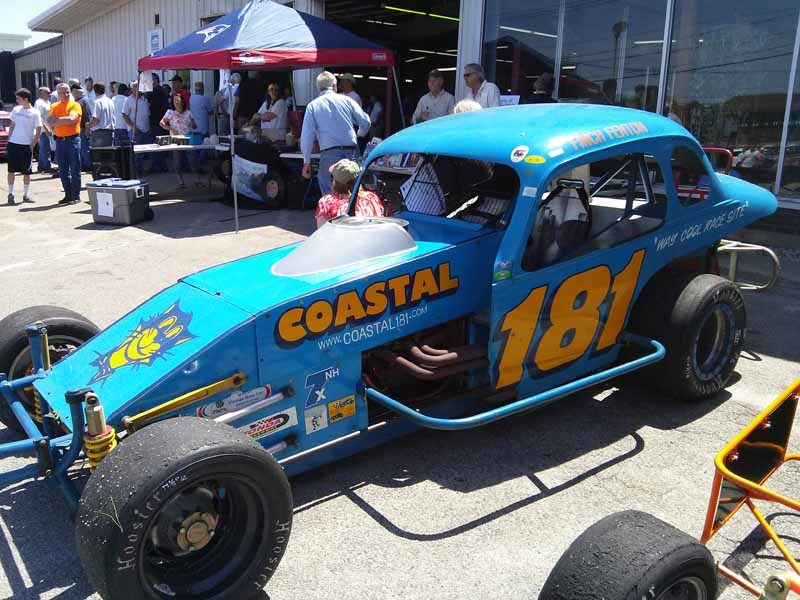 When Aetna Insurance transferred Cleary to Florida in 1988, most people, including Leo himself, figured that was the end of his racing. 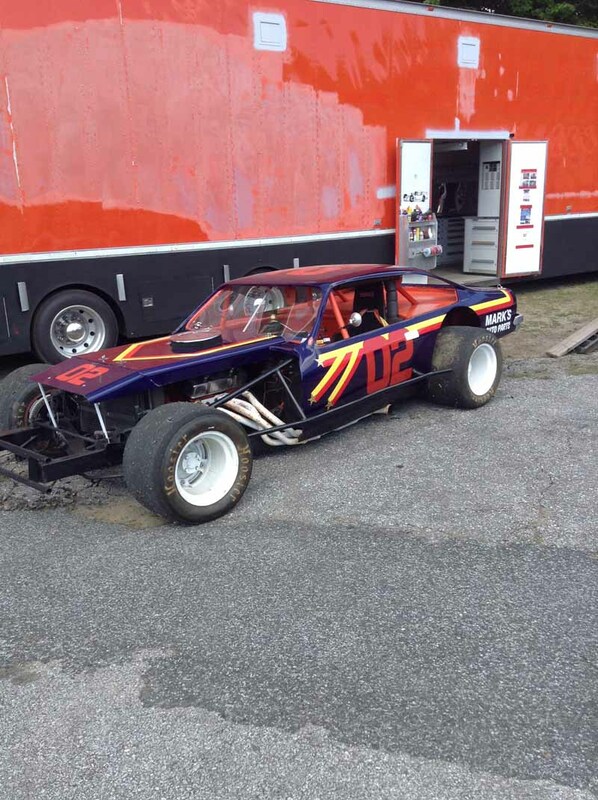 That’s when Vic Kangus convinced him to hop into his Florida modified, which he drove until 1993, when, at age 63, he suffered four broken ribs, and hung up his helmet for good. 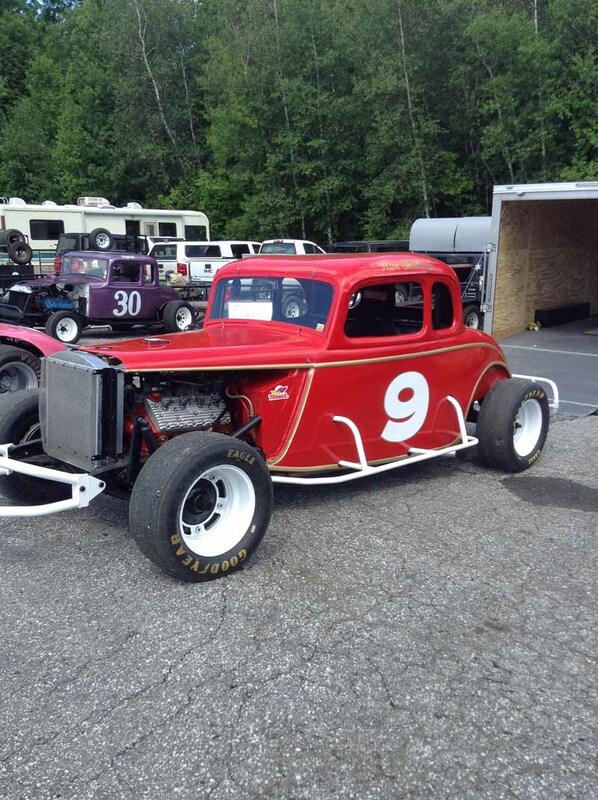 Leo Cleary’s career spanned six decades. 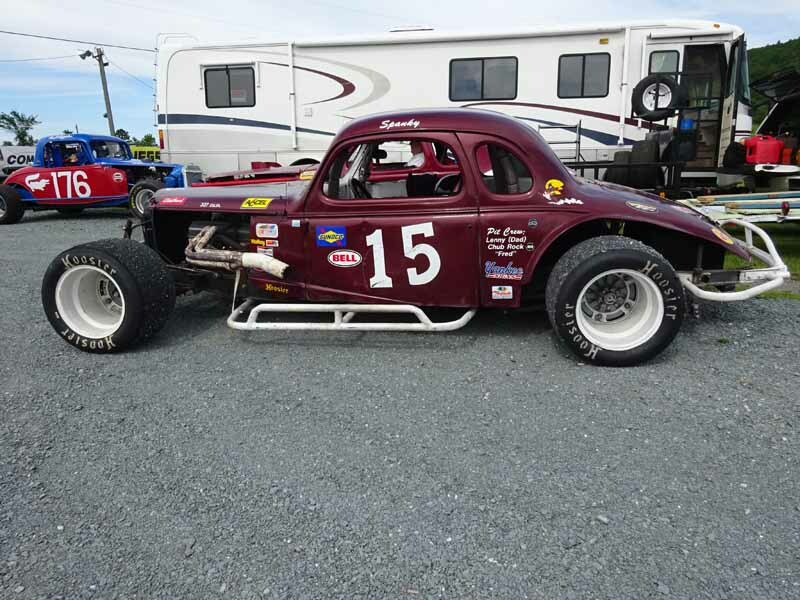 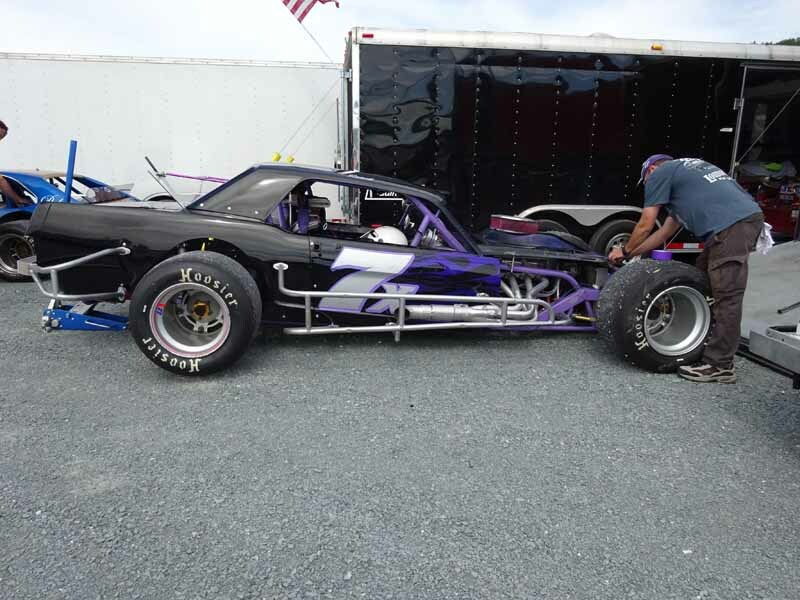 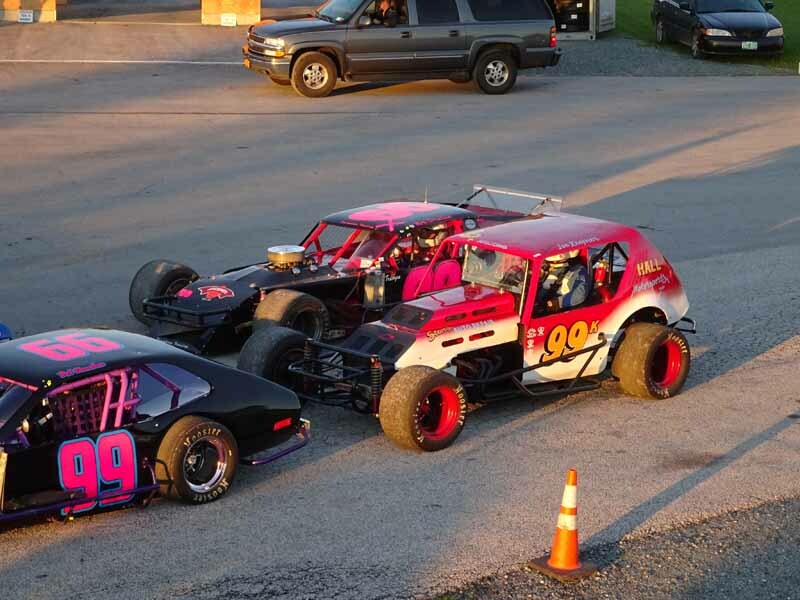 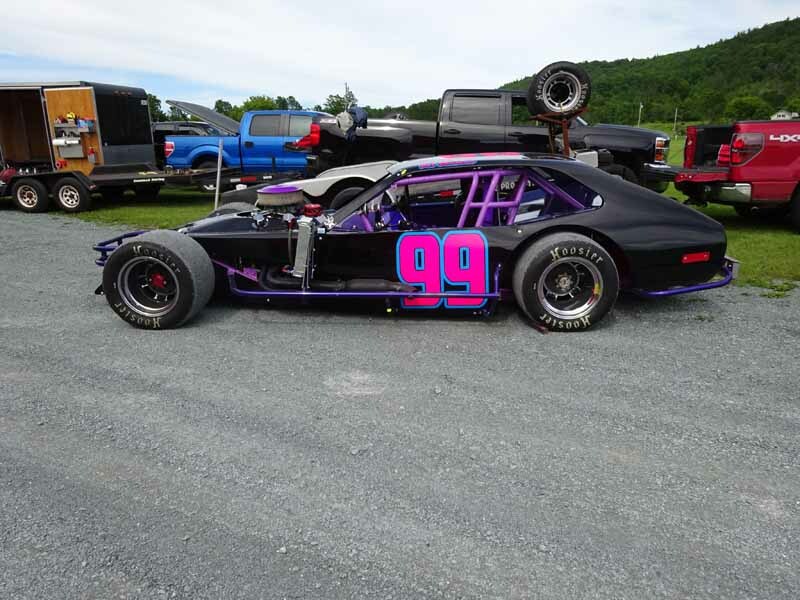 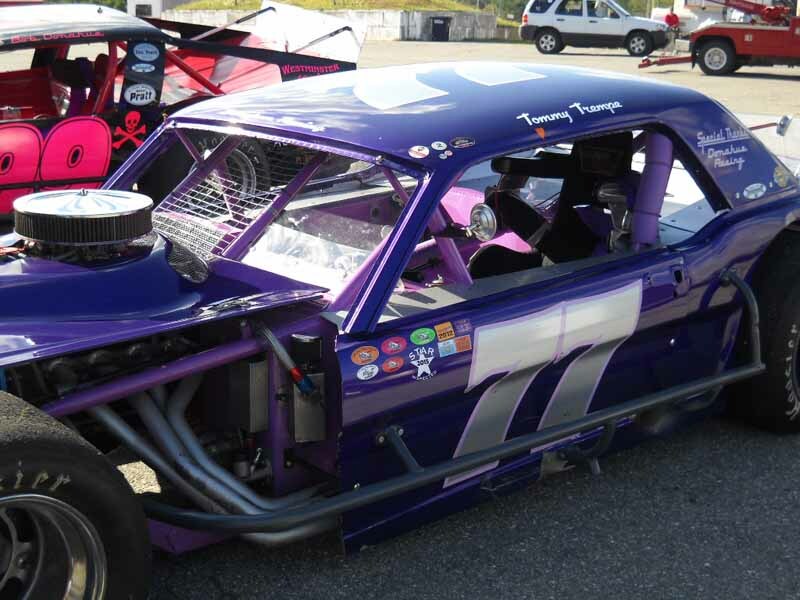 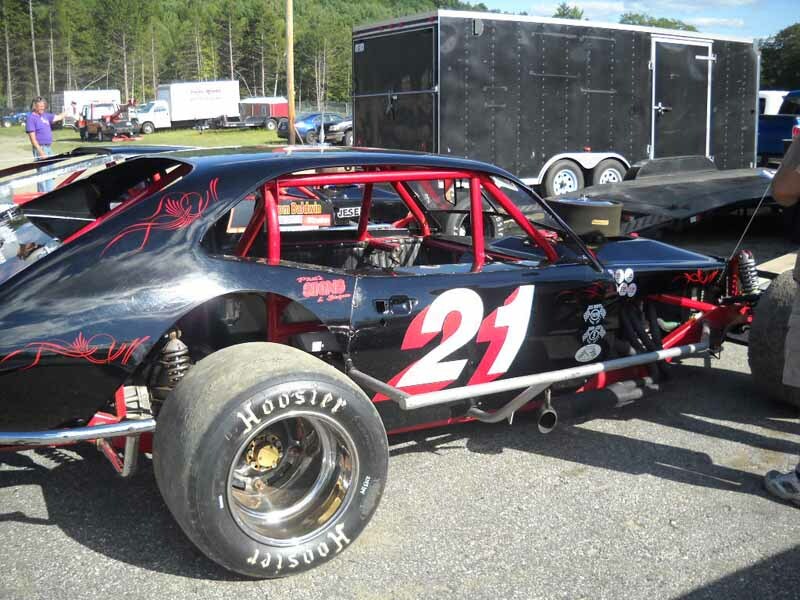 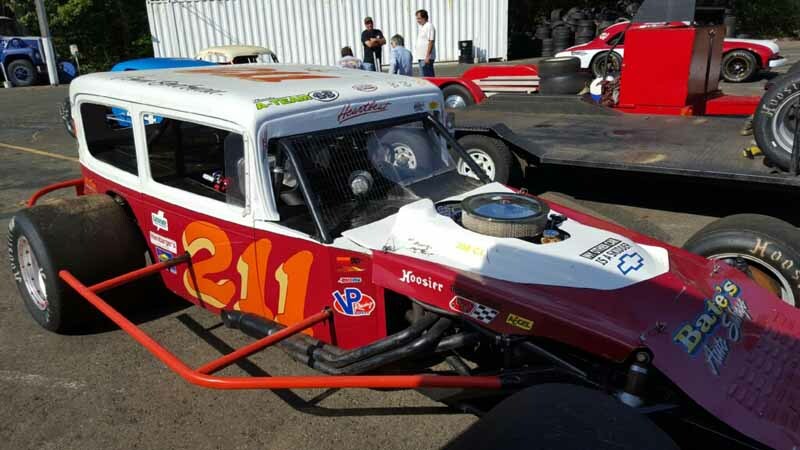 He has progressed from the early stock jalopies to the modern mini mods, pro stocks, and modifieds. 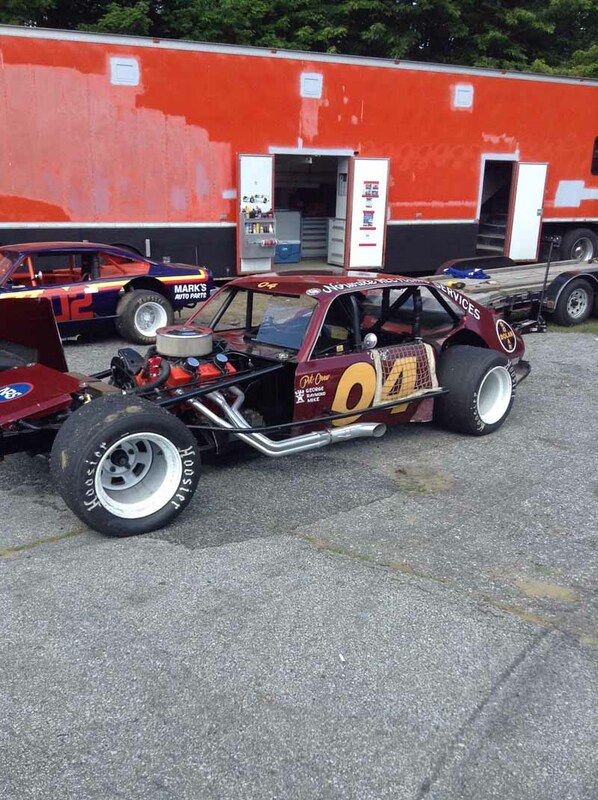 Just got the word from Ed Gendreau about the Leo Cleary Memorial that will be held at the McGoun-Biggins Funeral Home on 135 Union St. in Rockland, MA 02370 next Friday, March 3 from 5-8 pm. 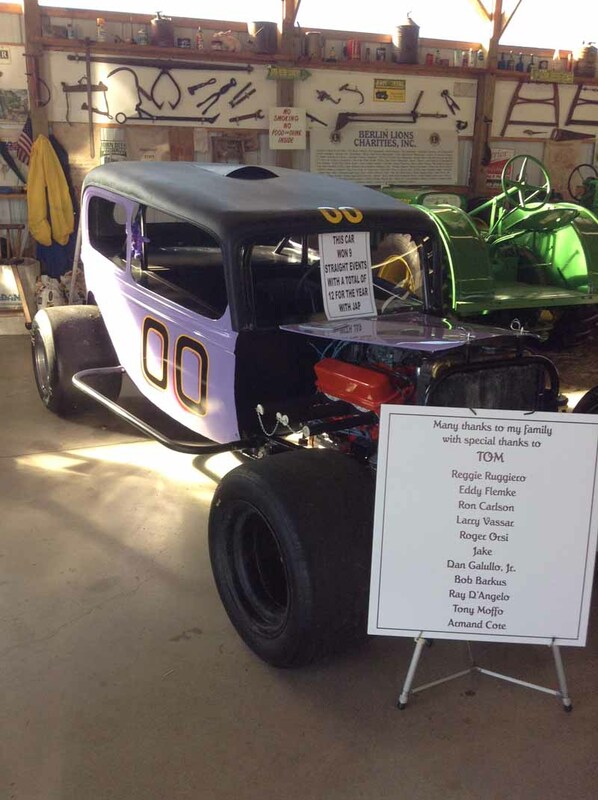 Expect to see a lot racing folks turn out for this memorial because Leo had a lot of fans and friends. 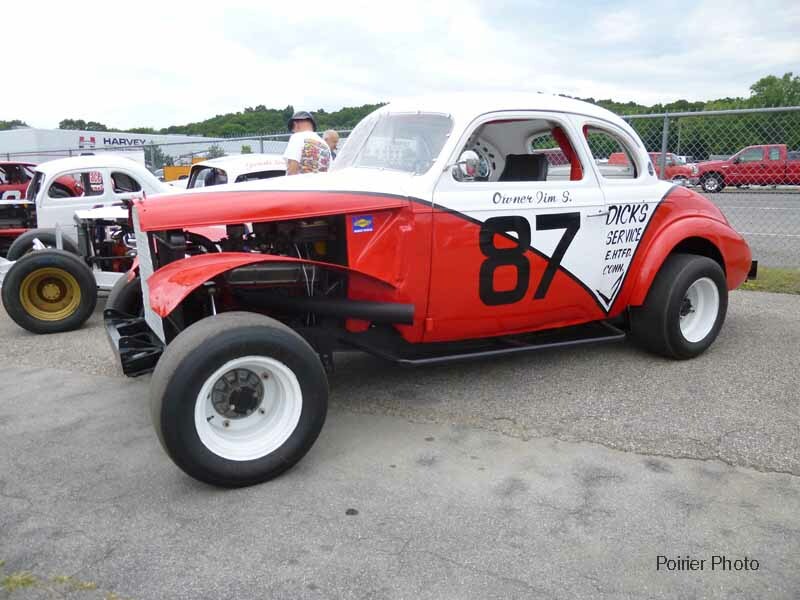 The 1937 Chevy Coupe, #15, was owned originally by Lenny Bancroft and could be seen racing “back in the day” at Riverside, Eastern States and Stafford Speedway by his main driver Frank Molton (his best man at his wedding), Rene Charlin, Gene Bergin and Sperry Morway to mention a few. 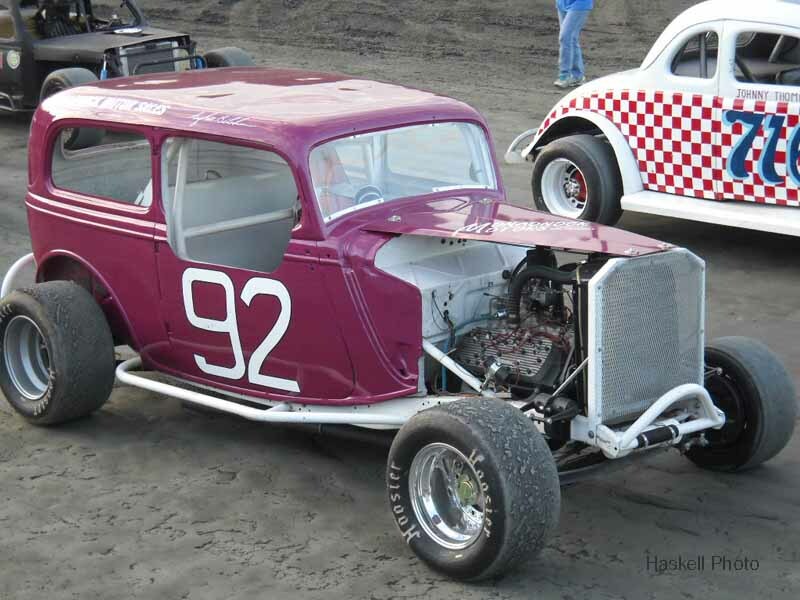 Then, in the ‘70’s, Spanky’s 2 oldest sisters’ boyfriends tried their hand at racing at Riverside…which did not last. 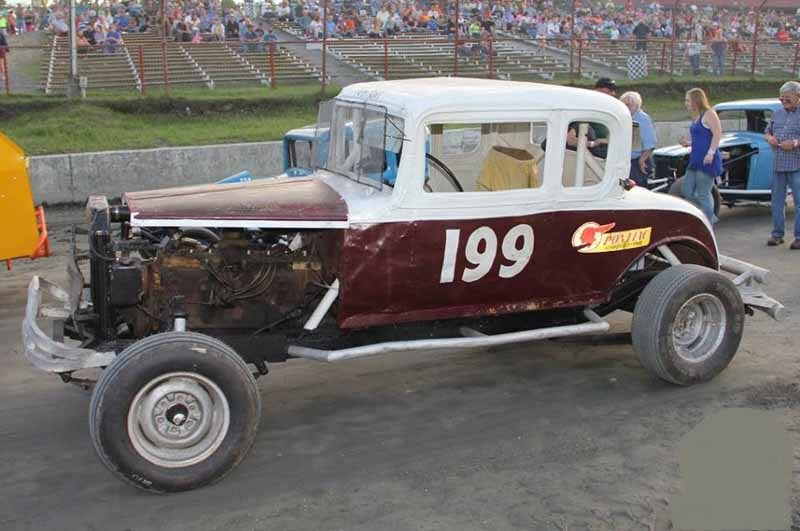 When Lenny’s days of racing were behind him, the race car was “put out to pasture” at the Bancroft homestead and Lenny focused on raising his seven kids and farming his 100 acre potato farm. 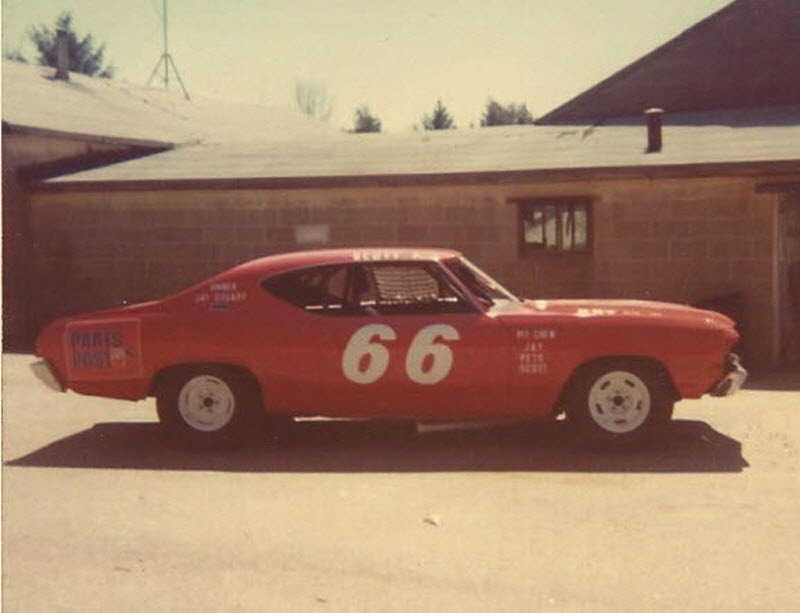 Rich Mosher, a current vintage race car owner, would visit the homestead and clear around the car hoping that Lenny would sell him the coupe…this went on for many years. 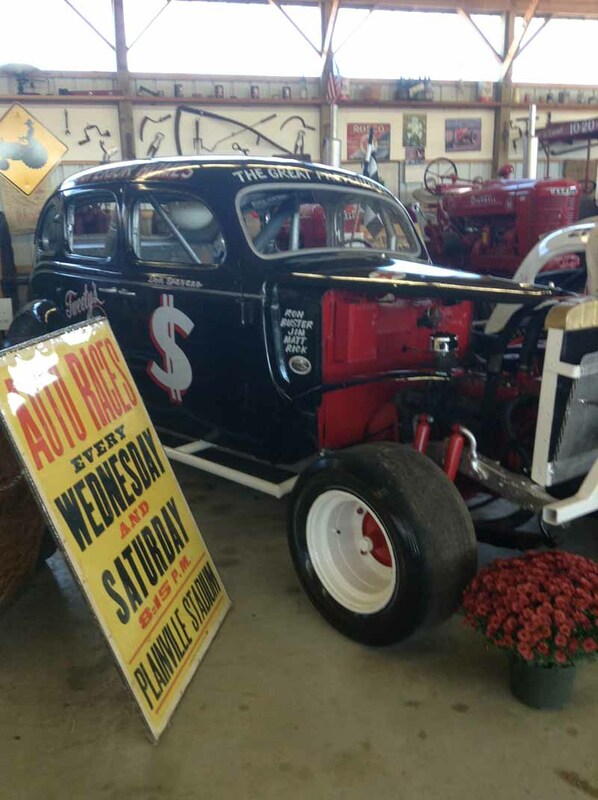 Eventually, a tree grew up from the ground, through the floor and out the passenger window…I guess the potato farm was trying to naturally recycle the coupe. 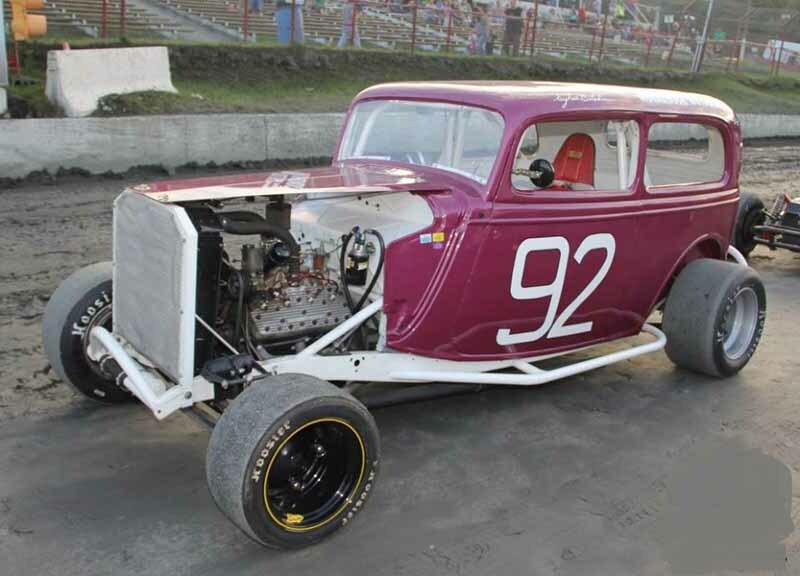 Time passed with the telling of great racing stories in the Bancroft home of the “old days” and when Lenny’s 50th anniversary approached, his son Brian “Spanky”, Lisa and his late best friend, co-worker and cousin, Jim “Chub Rock” Weatherwax, decided to surprise Lenny by restoring the coupe. 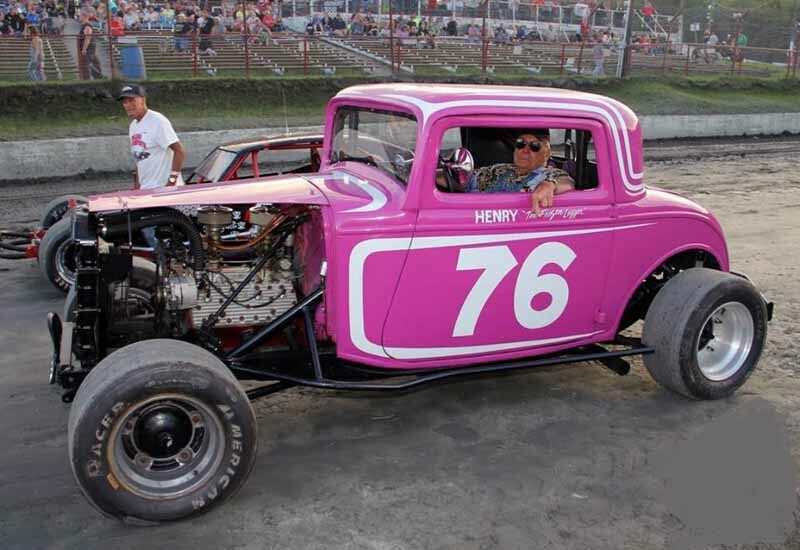 They worked tirelessly up to the morning of Lenny’s anniversary — they were putting the engine in and Lisa was adding the last decal literally seconds before Lenny arrived on the scene which completed the coupe restoration…Lenny was able to enjoy two more years of racing before he passed away. 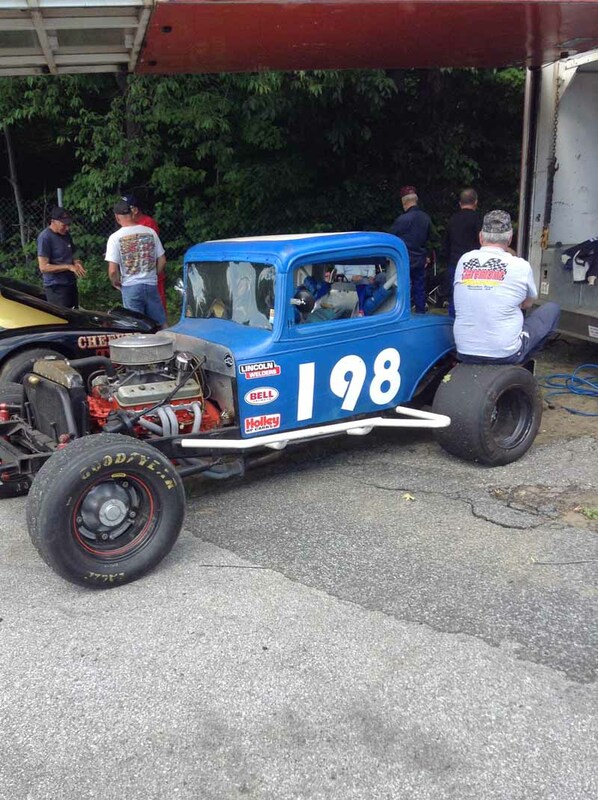 As time went on, Spanky became custodian of the family Vintage race car. 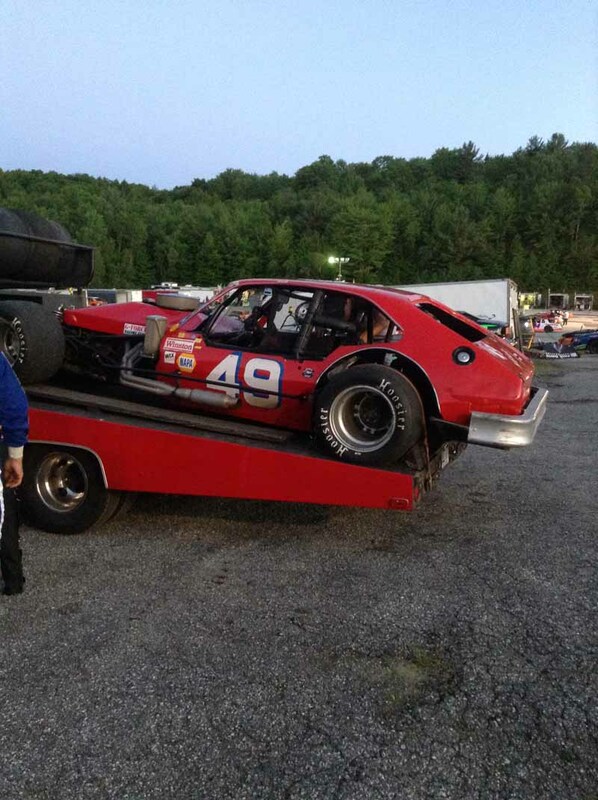 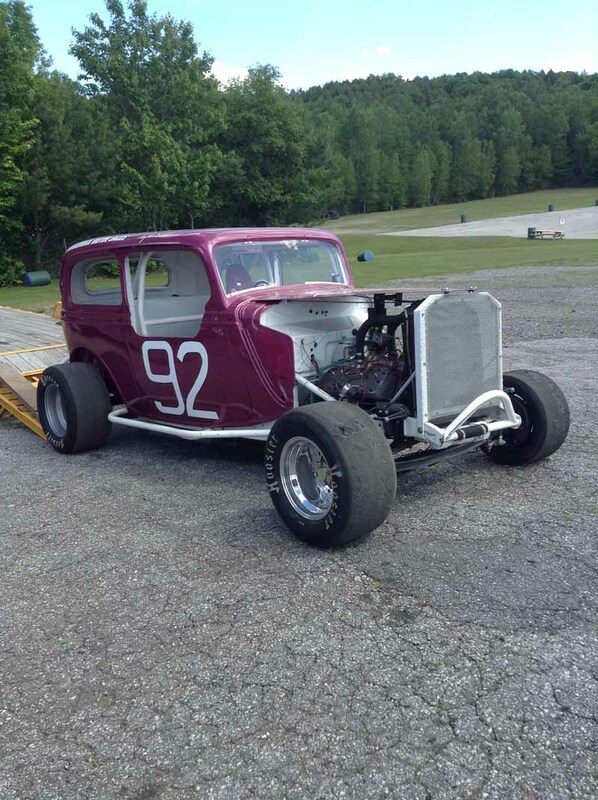 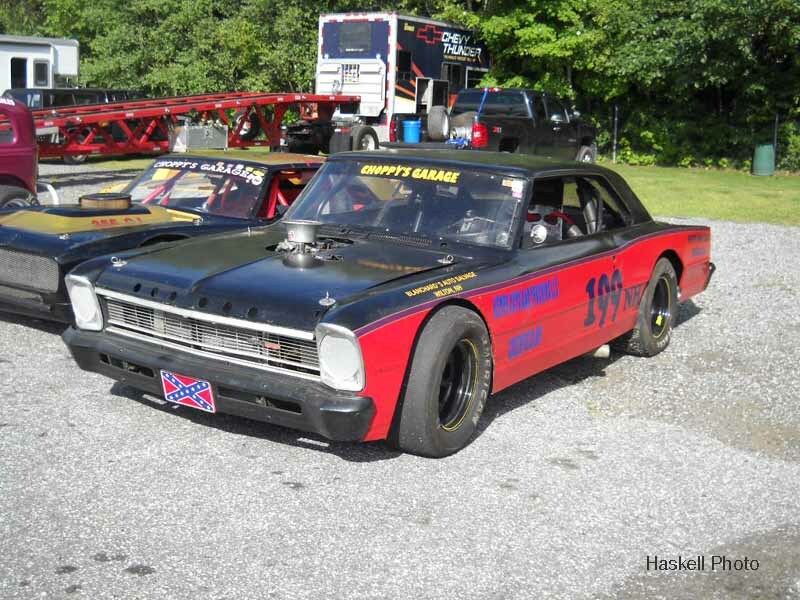 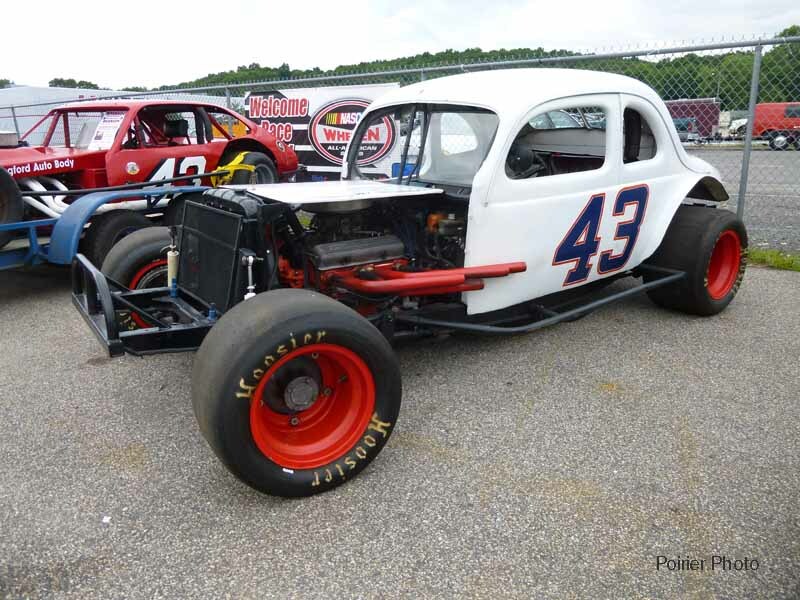 Spanky’s first race after the restoration was at Thompson Speedway. Spanky’s favorite race tracks to compete on include Riverside and Stafford Speedway. 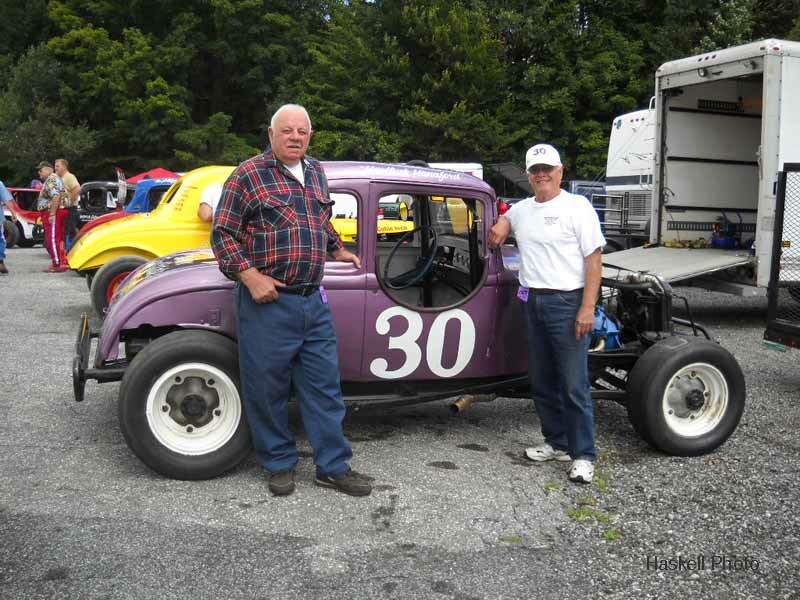 Spanky and Lisa became NEAR members around 2006 and currently serve on the NEAR Board of Advisors. 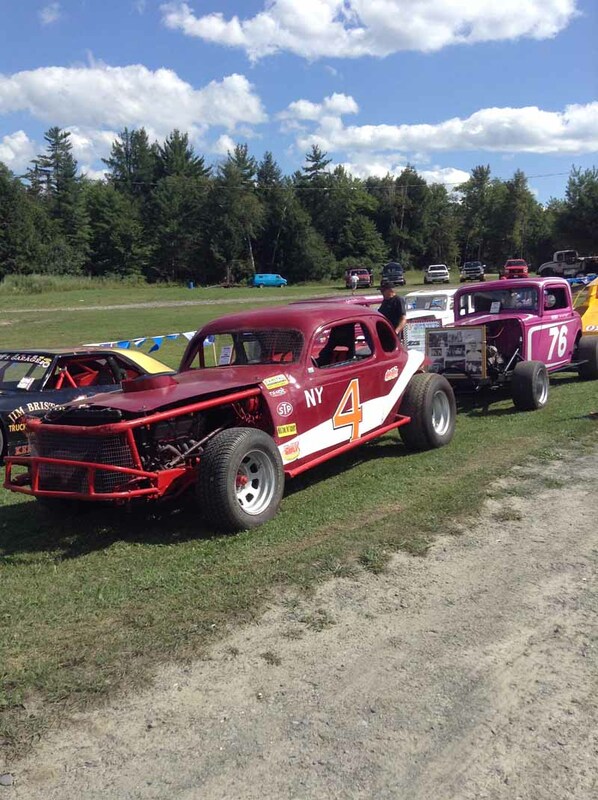 At club events you can always expect to see Spanky and Lisa “manning” the grills in an effortlessly coordination of feeding the masses with smiling faces. 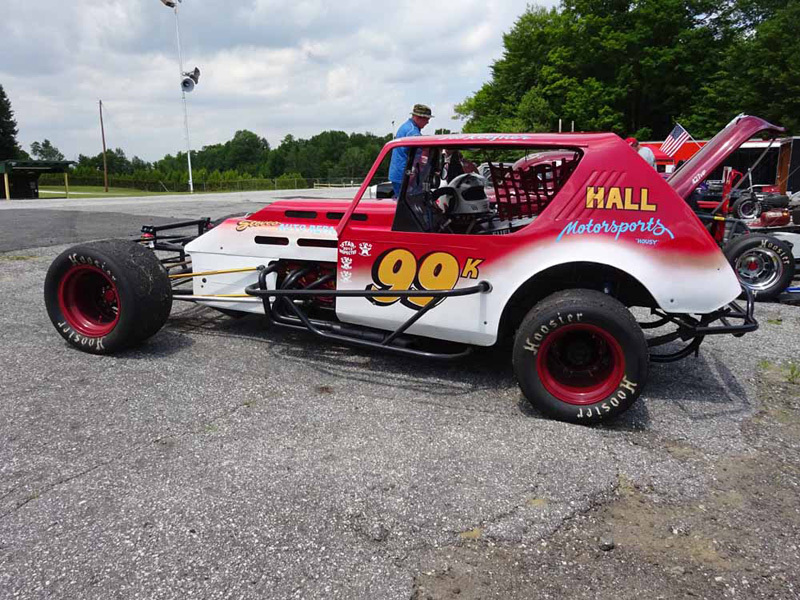 For over 30 years, Spanky has been an equipment operator at Environmental Services – also, sharing his racing passion he secured, from his company, ad sponsorship for the NEAR Hall of Fame booklet. 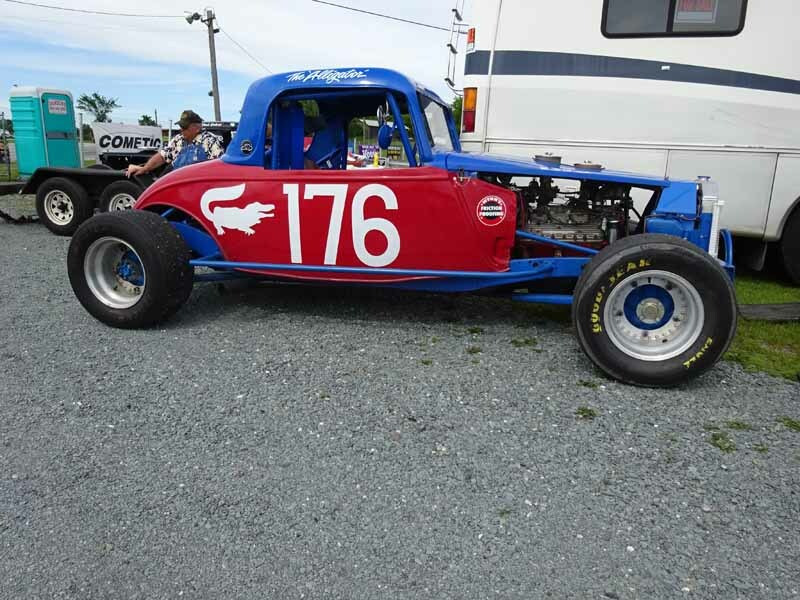 In addition to vintage racing, Spanky and Lisa enjoy traveling to their second home in Aruba; and it’s always fun to hear about stories of their island experiences. 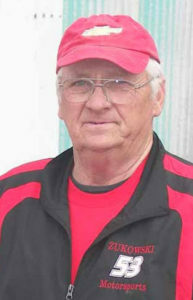 Warren W. Bullock, Beloved Father of NEAR 2016 Champion Angie Bullock, Passes at Age 73. 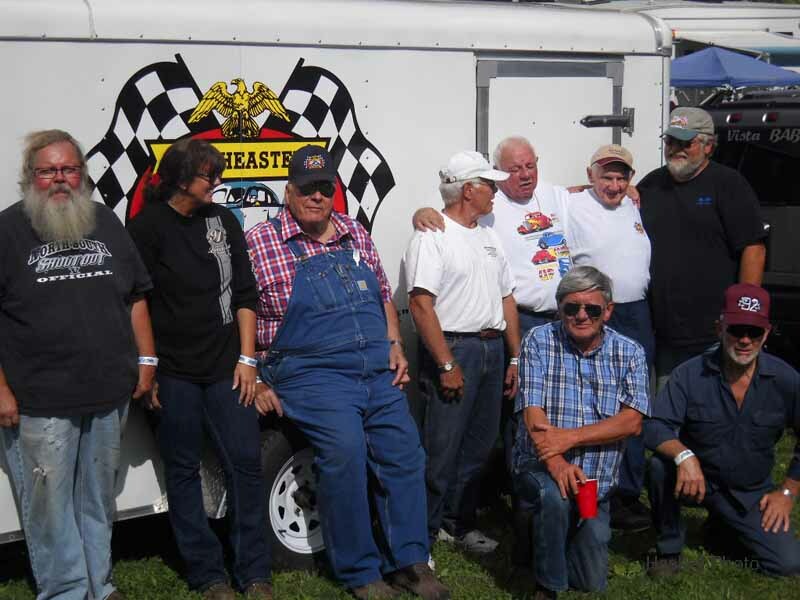 We are saddened to announce the passing of the father of NEAR member Angie Bullock on Tuesday, October 18, 2016. 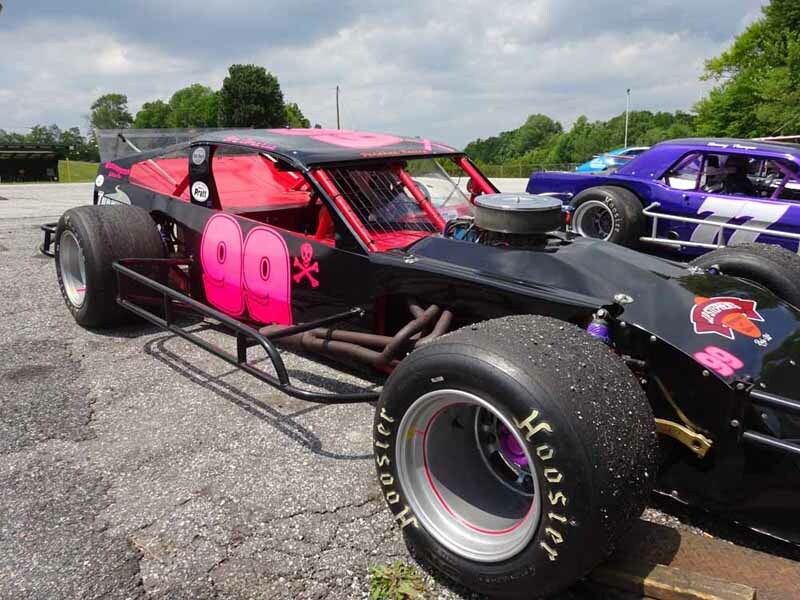 Please send your thoughts and prayers her way. 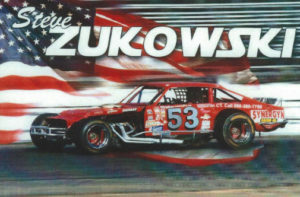 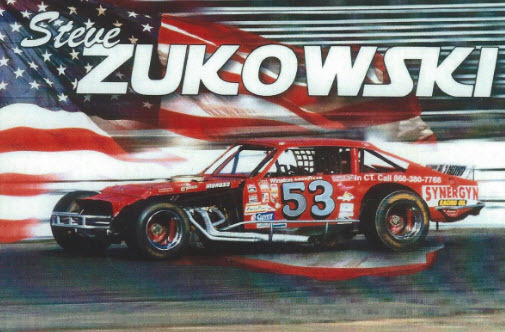 If you visited Westboro Speedway “back in the day” – which was a high-banked 1/4 mile paved oval located in Massachusetts that ran from 1947 through 1985 – you might have seen our NEAR colleague Steve Zukowski, competing at one of his favorite tracks in his Chevrolet Vega #53. 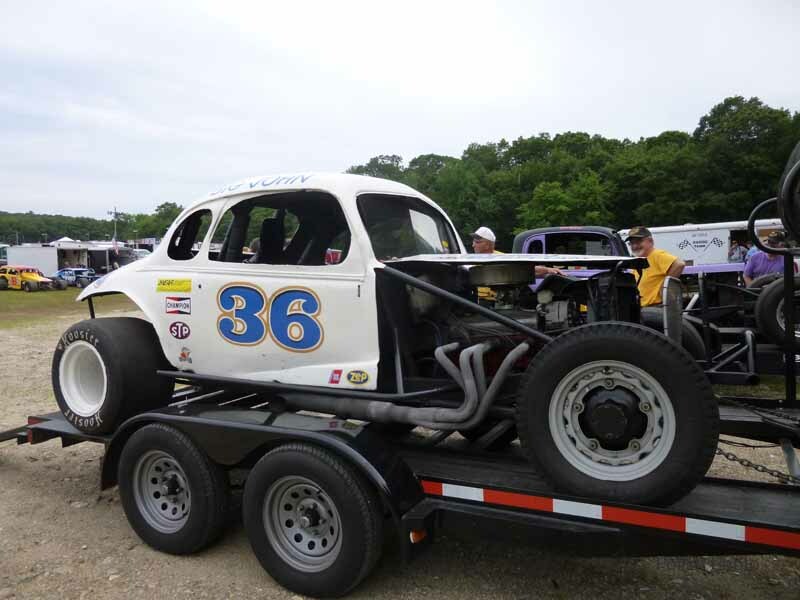 Steve started his racing career in 1960, he joined NEAR in 1998 and is the original owner/driver of the #53; which you could still see at the Vintage races today. 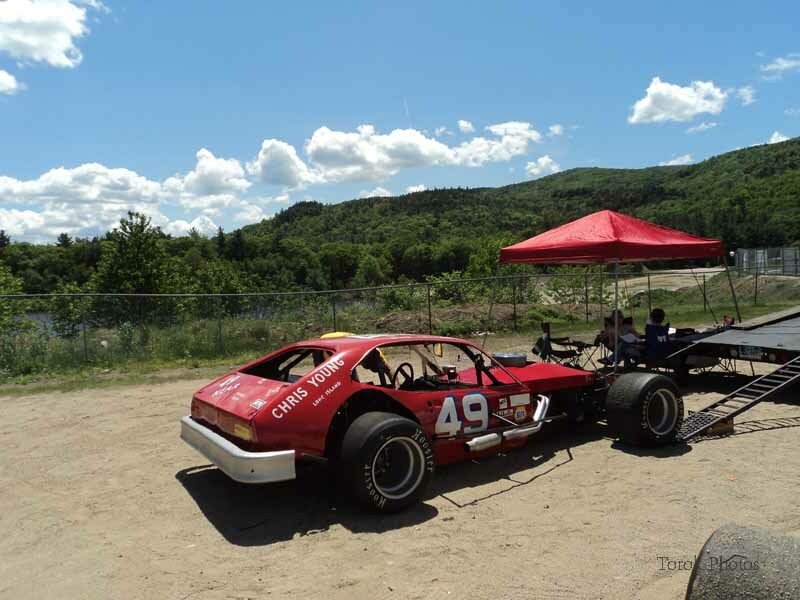 Other tracks Steve competed on included: Stafford Speedway, Riverside Park, Seekonk Speedway, Lakeville Speedway (Middleboro, MA), Thompson Speedway, Riverside (Groveton, MA), Hudson Speedway (NH), Brookline Speedway (NH), Star Speedway and Waterford Speedbowl. 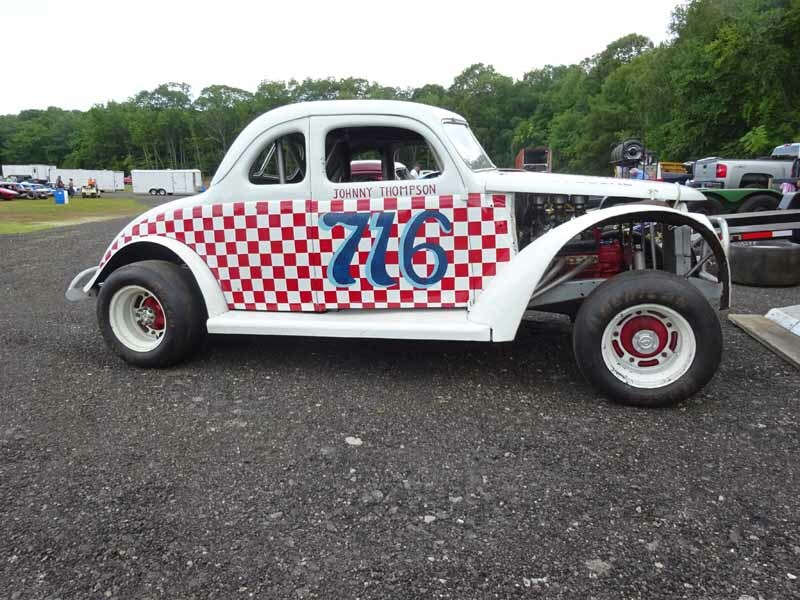 The numerous car owners Steve drove for are some of his most memorable moments in racing; some include #78 owner-Nelson LeCleir (driving a ’50 Ford), #78 owner-Ron Langiven (driving a ’53 Ford), #17 owner-Ina Smith (driving a ’47 white Caddy – nicknamed the Joker), #21 owner-Don Silberman, #11 owner-Tony St. Angello, and #25 Coupe owner-Dave Johnson (Steve’s son-in-law). 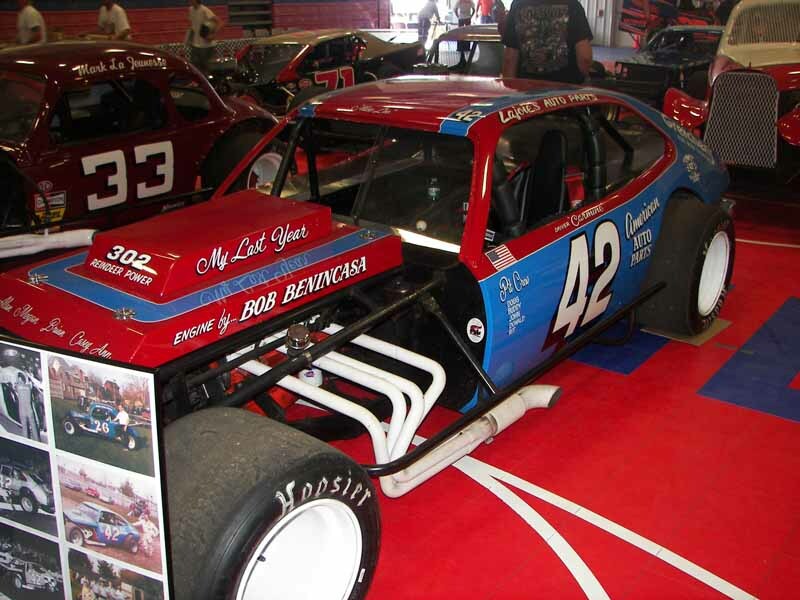 As a Crew Chief, Steve worked on the #26 Bush North D.W. Toys Racing Team for 4 years, with Scott Bonley as the wheel-man; and then for the #94 Team with John Lesniak as the driver. 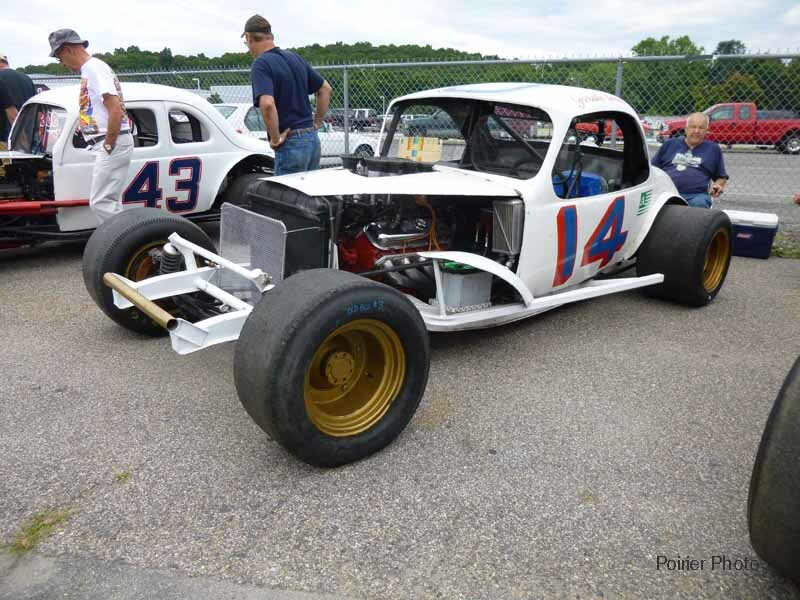 Wearing the “hat” of Head Mechanic, Steve worked on the #14 Bush North Ken Bouchard Team; and as a “Body Man”, Steve worked on the Al Becker and Ken Bouchard Team at Westboro; and then on the Red & White Movers, Ron Bouchard’s Team at Westboro and Seekonk Speedways. 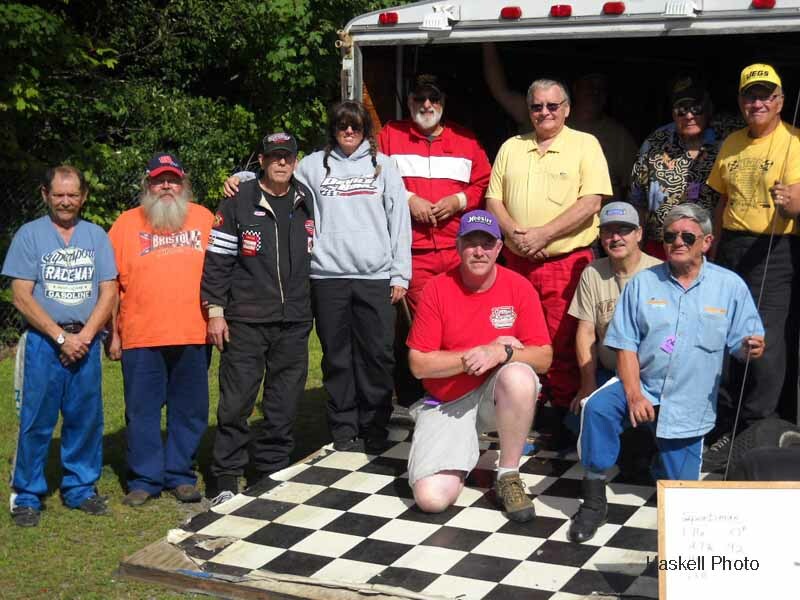 Steve received the “President’s Award for Oustanding Service to NEAR February 27th – March 1st, 2015”, at the March 17, 2015 New England Antique Racers (NEAR) monthly meeting. 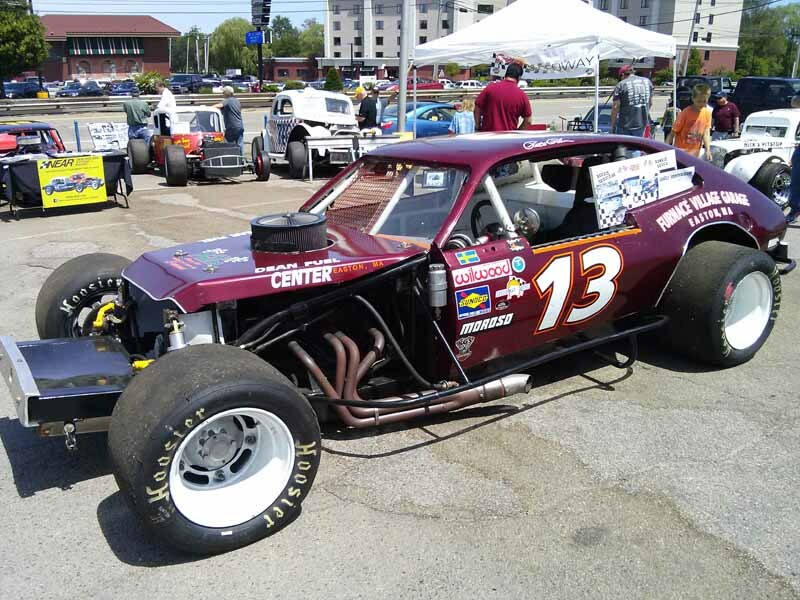 Steve represented NEAR with his daily presence and displaying his car at the Frank Maratta Auto Show & Racearama in the Eastern States Exposition Center in West Springfield, MA; encountering one of the many New England winter snow storms. 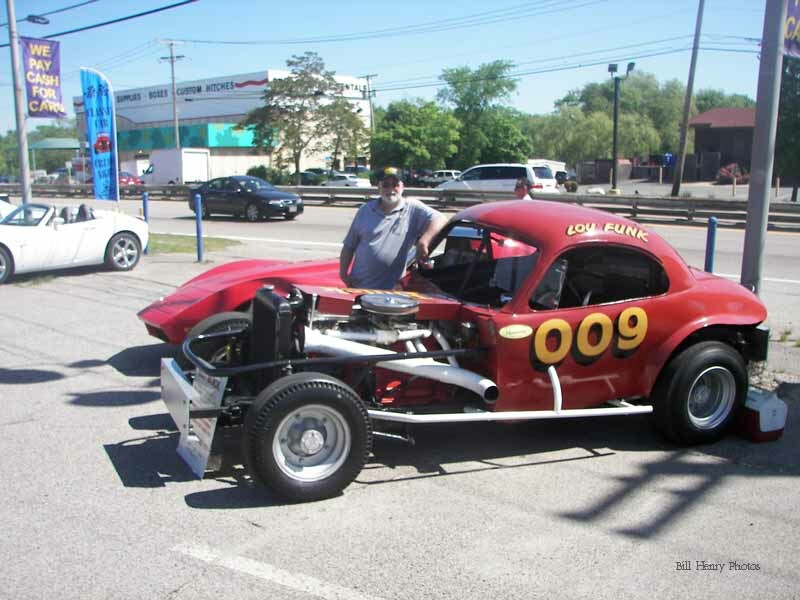 With this kind of resume you could almost guess, Steve has been affiliated with automobiles since 1957 in Used Car Sales and Repairs. 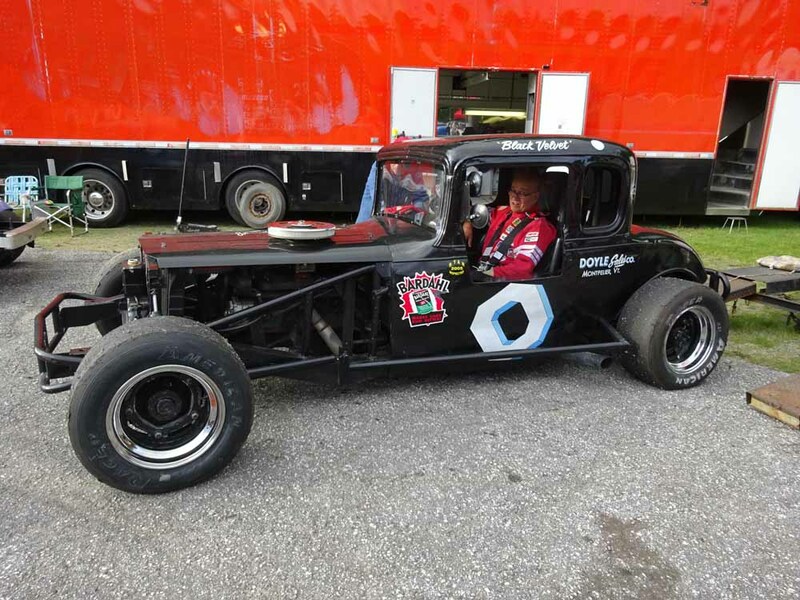 He always has a racing experience to share, if you just want to sit down and talk “racing”. 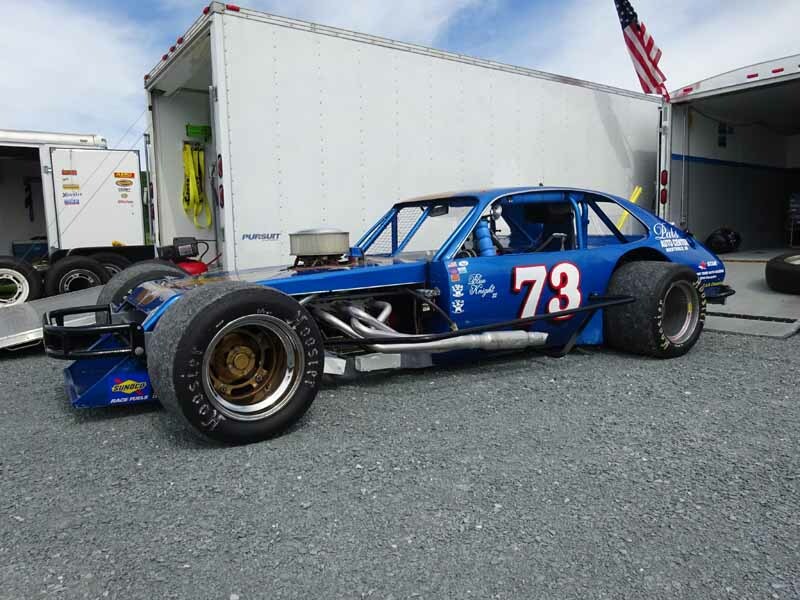 The Blue Knight, #73, was owned by Westerly, RI, based Pat Doherty. 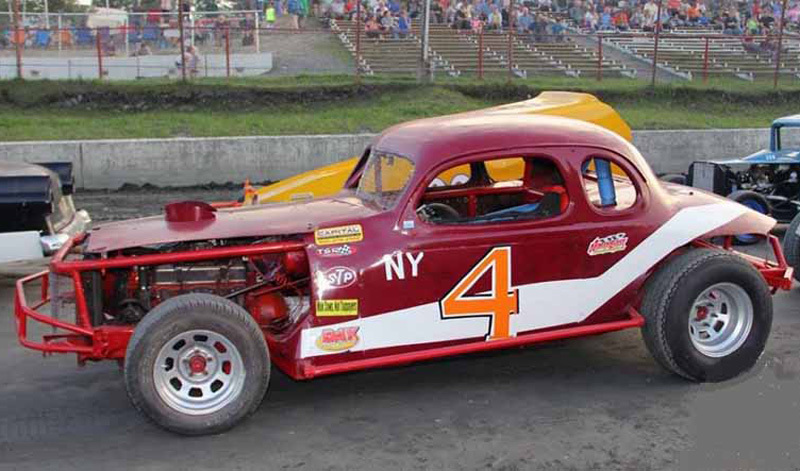 The race car started life as Bob Potter’s original yellow #51 owned by Henry Olscewski and later sold to Doherty. 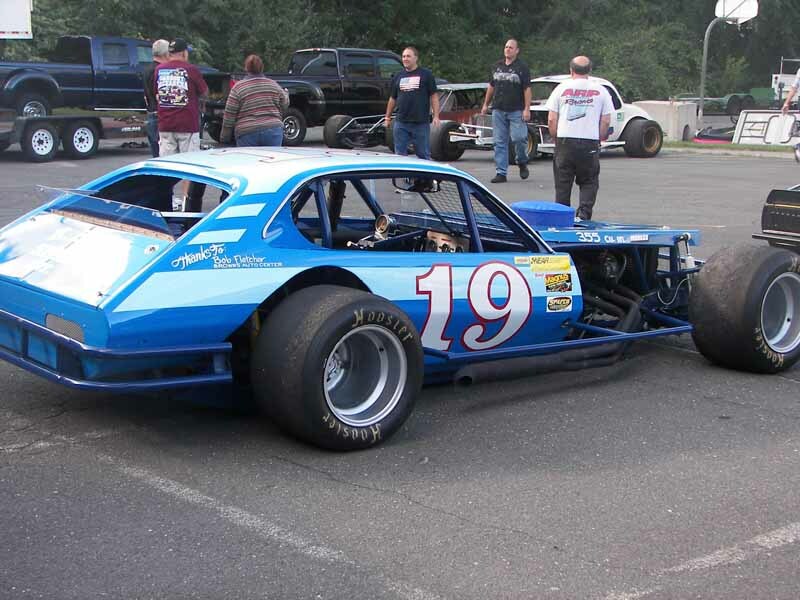 As the Blue Knight, it was wheeled by Donnie Bunnell at the Waterford Speedbowl, winning numerous races for car owner Doherty. 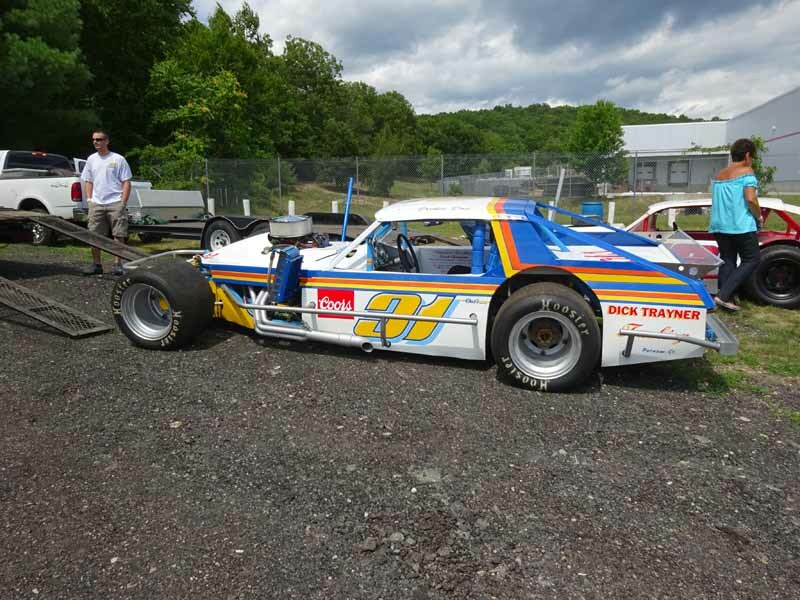 Scott Poirier, now the driver of the Blue Knight and owned by wife Judy, started his racing career in the #66 with Jay Stuart in 1978; later owning his own team in 1980. 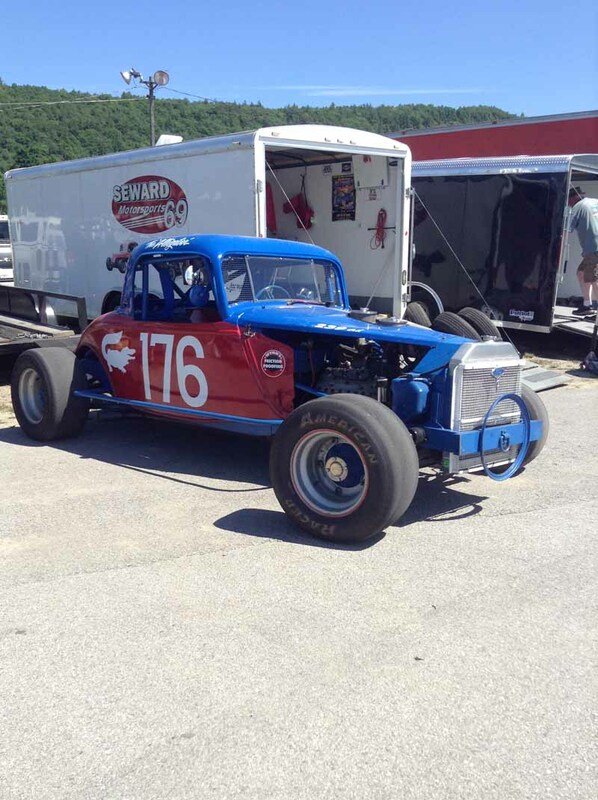 Scott is thankful to all the owners that gave him rides throughout the years and helped him in his racing career. 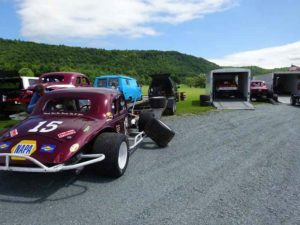 During the early 80s, Poirier was a Waterford Speedbowl Tech Inspector for a couple of years in the Late Model division – increasing the number of winners from single digits to double digits during that time. 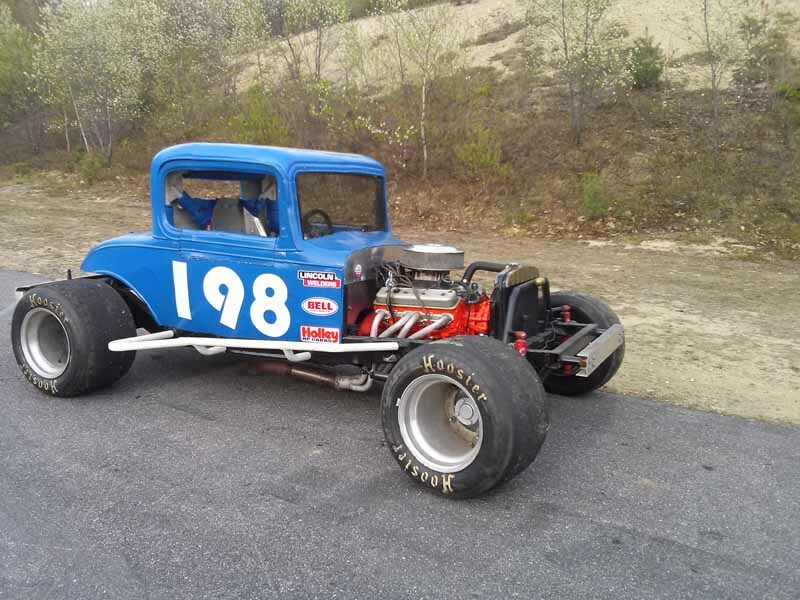 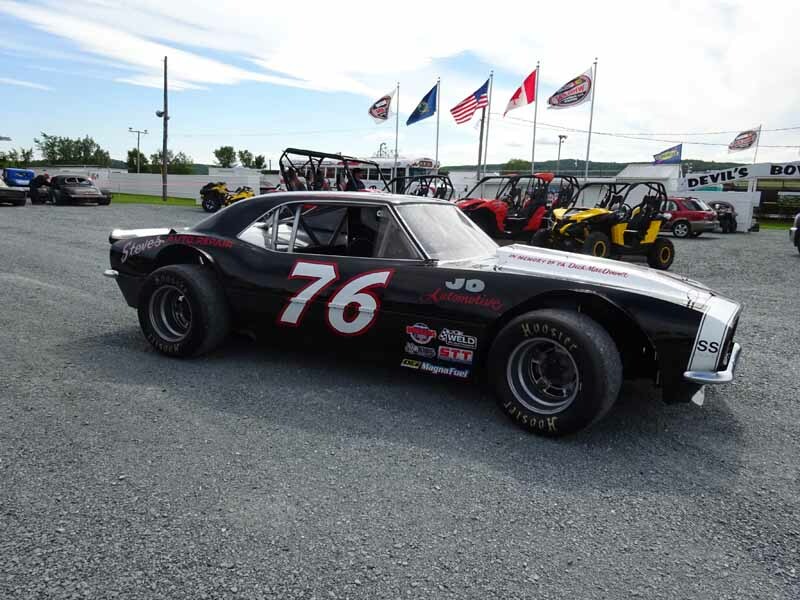 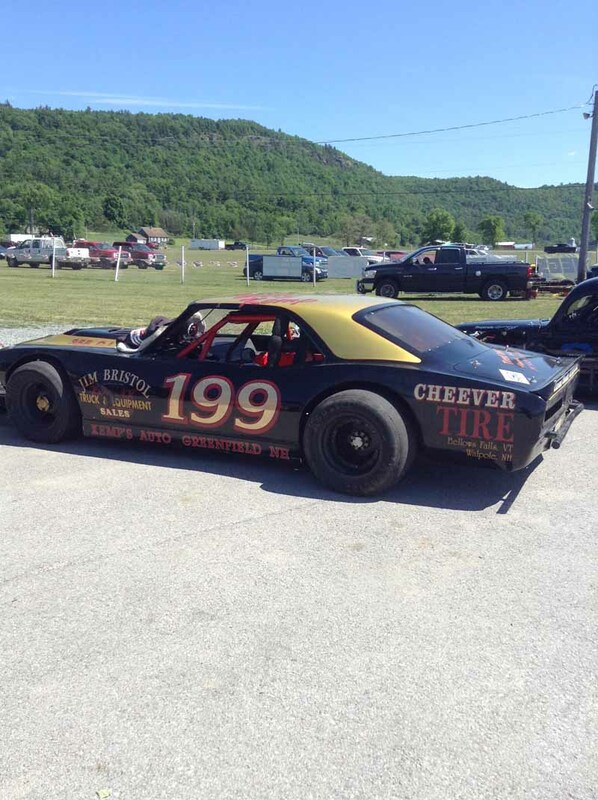 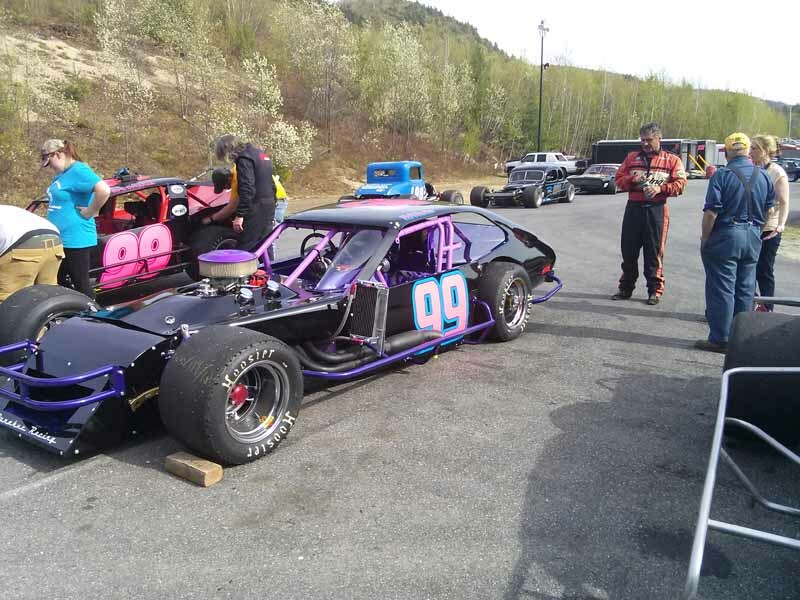 Poirier also raced in each of the past five decades winning a championship at Stafford Speedway in 1986, Rookie of the Year in the Late Model and SK Modified divisions at Waterford Speedbowl along with numerous wins at local Connecticut tracks. 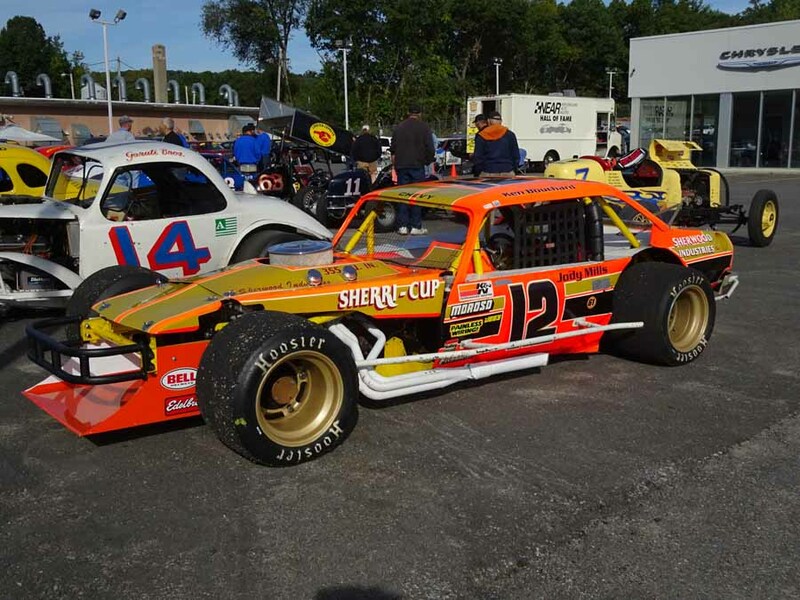 In the NASCAR Modified Tour division he competed as far north as New Hampshire Speedway, Loudon, NH and as far south as Nazareth Speedway, Lehigh Valley, Pennsylvania. 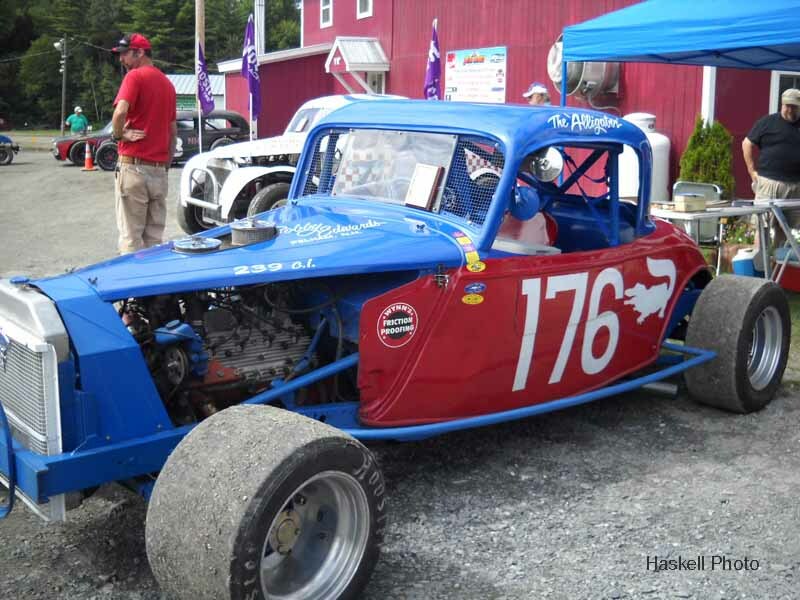 In the pits Poirier was known as “Parts Store Poirier” always being prepared and willing to help his fellow racers – which included loaning his “Poirier built” motor to a competitor which allowed the competitor to cinch the championship from Poirier by 2 points – how’d that work out??? 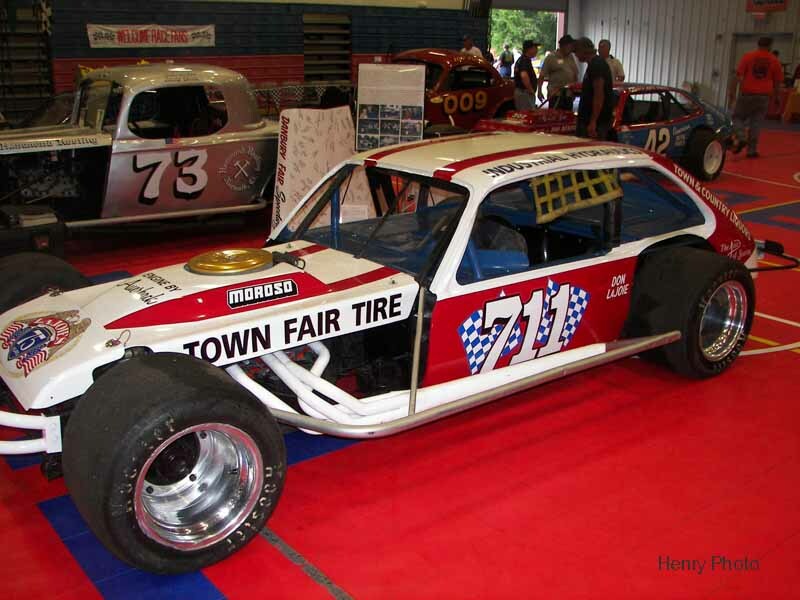 Scott says, “My biggest career trophy was when I went to Martinsville [Virginia] and found my wife in ‘79”. 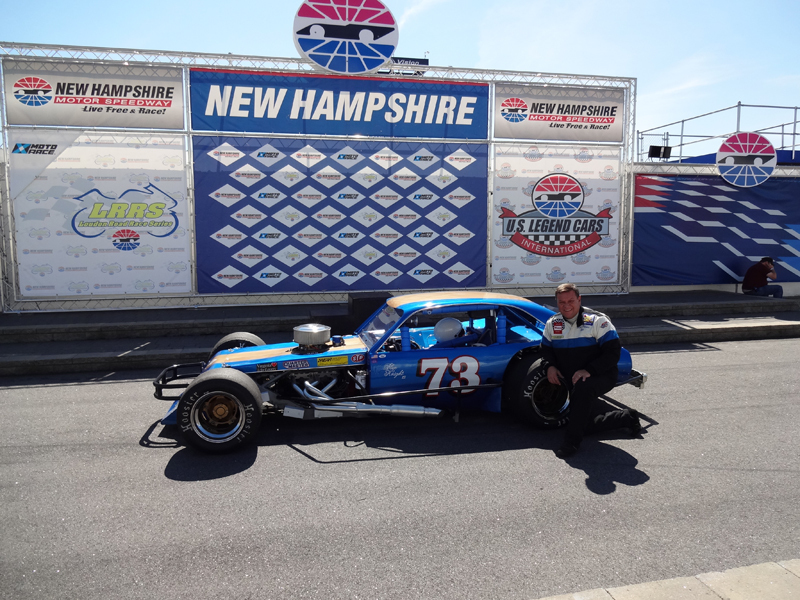 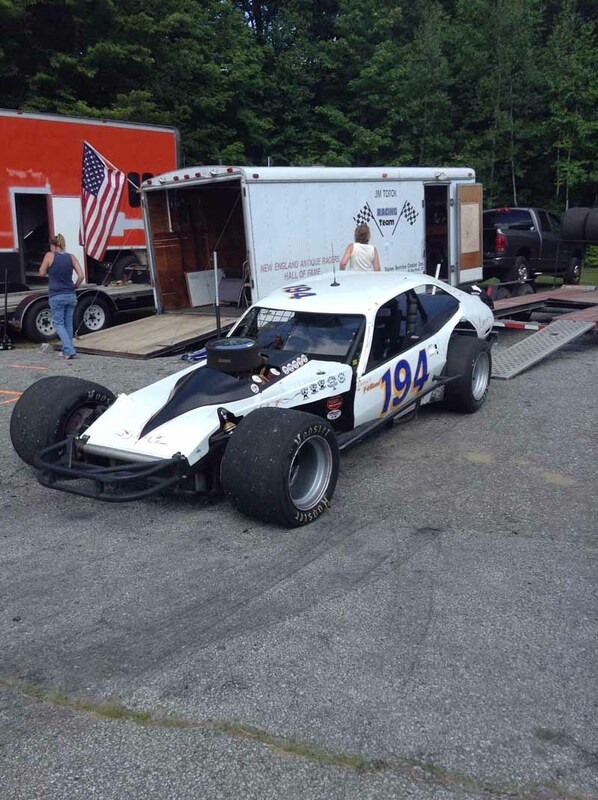 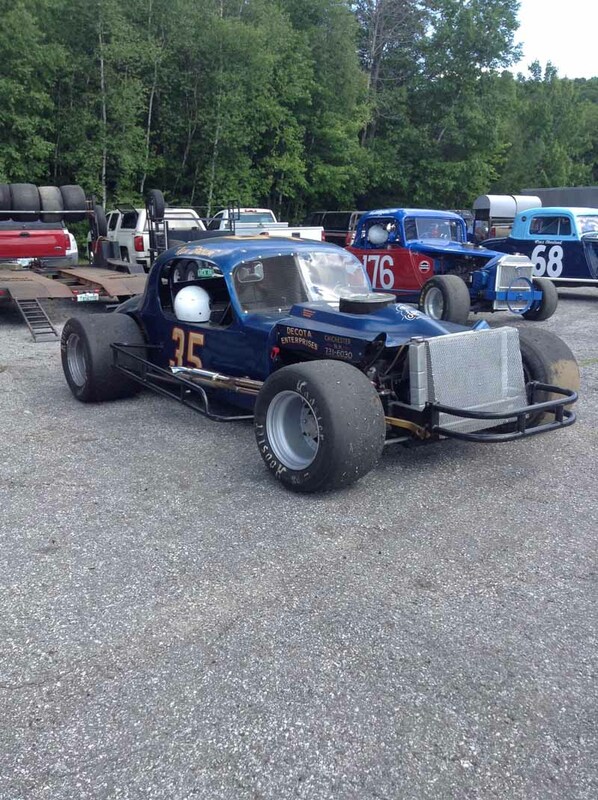 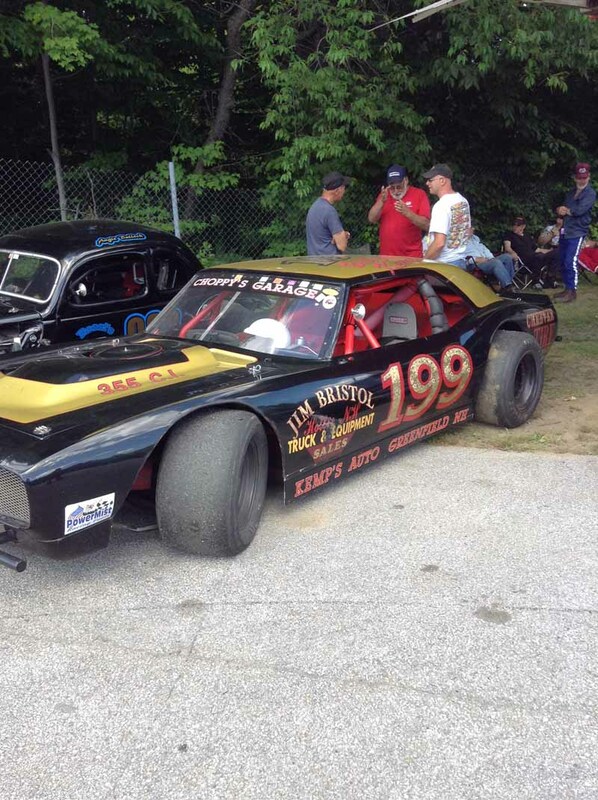 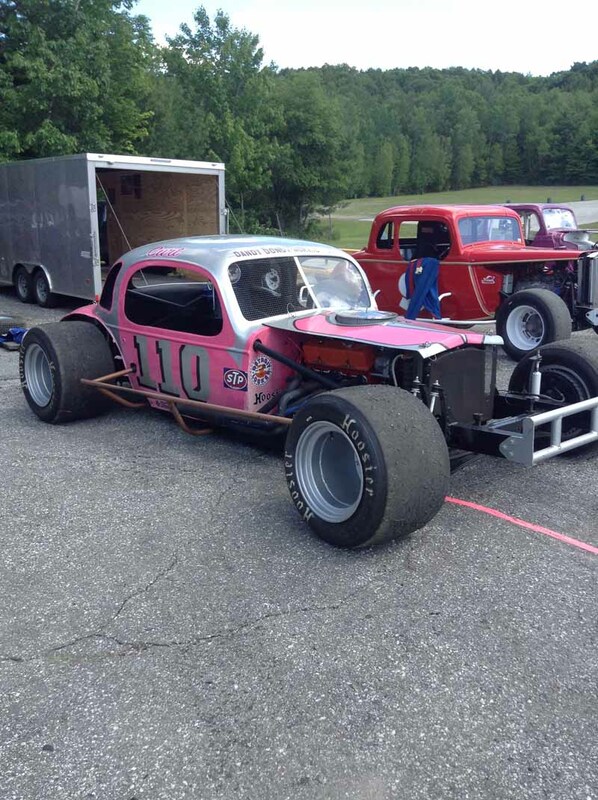 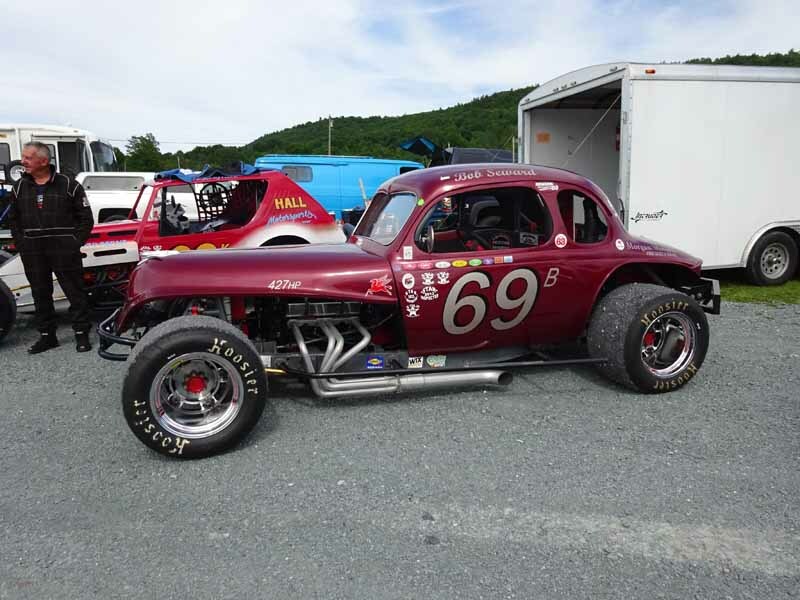 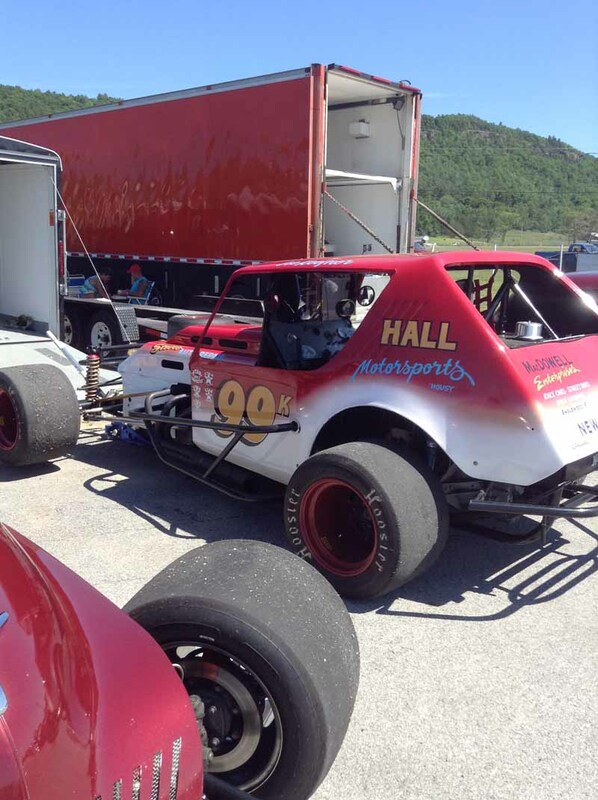 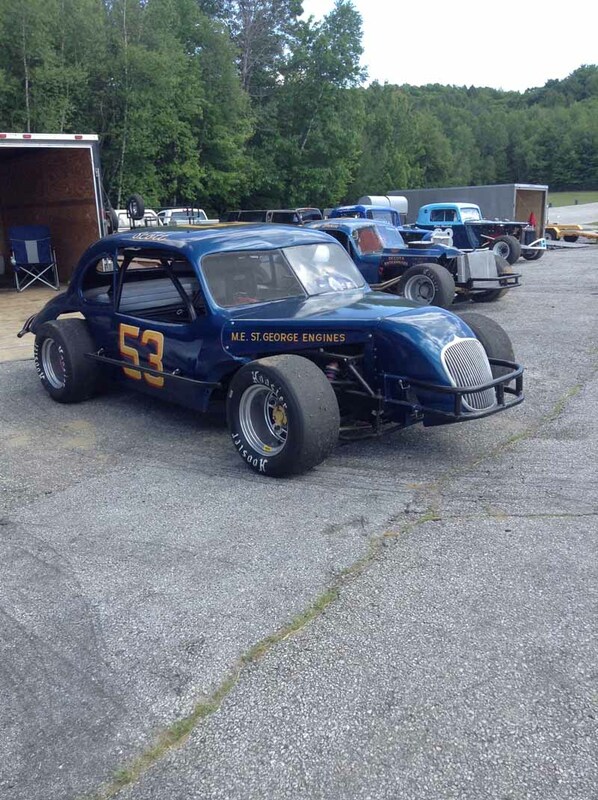 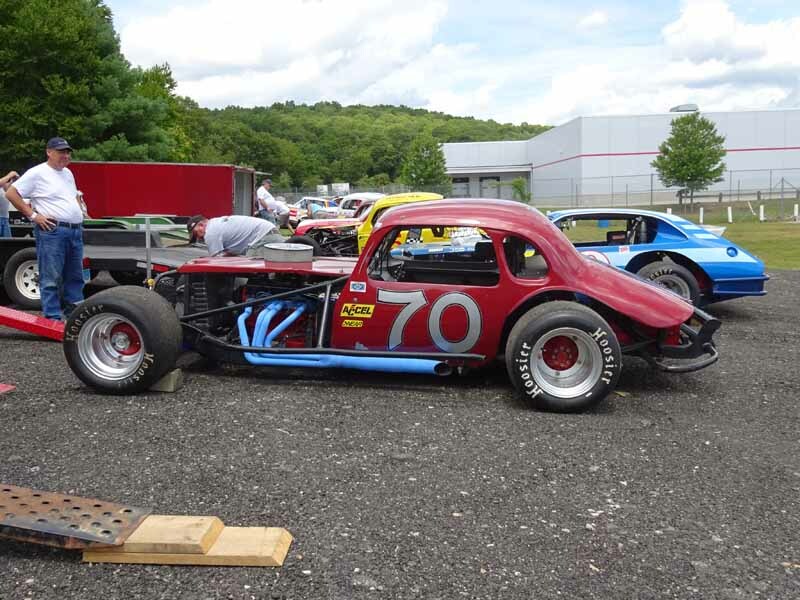 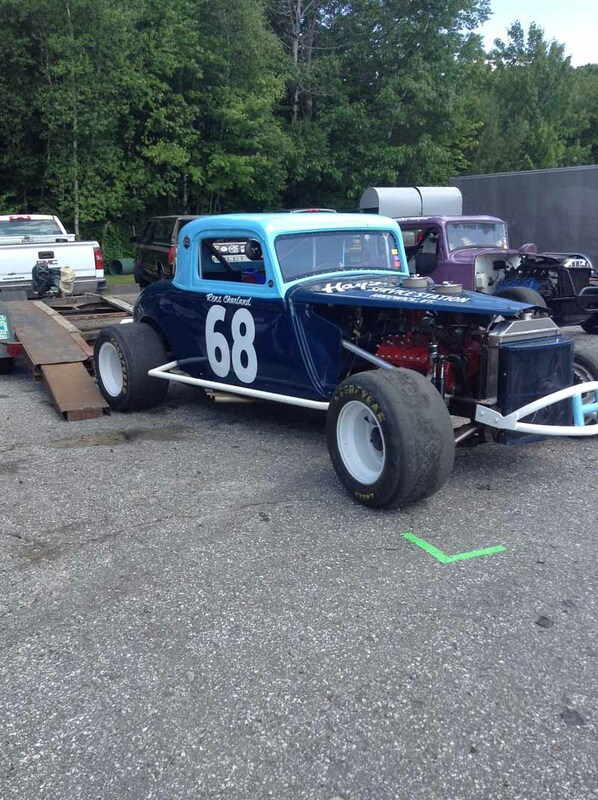 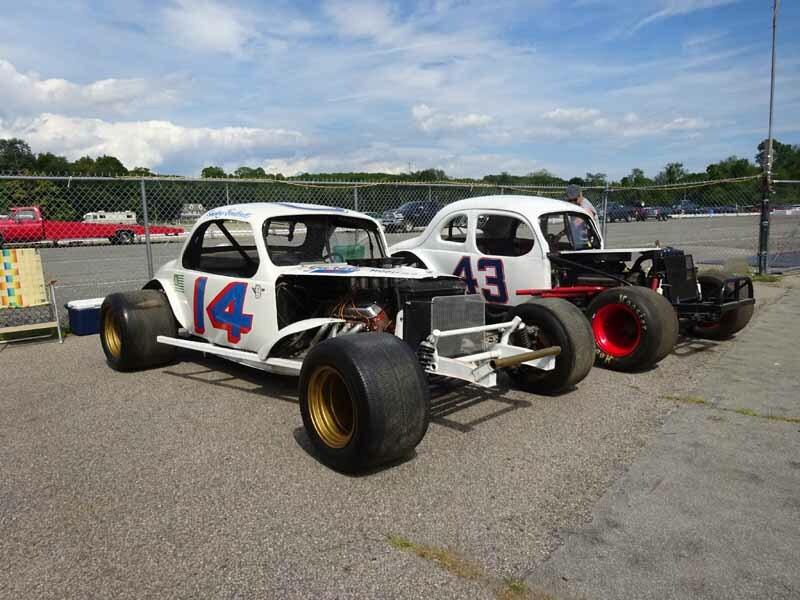 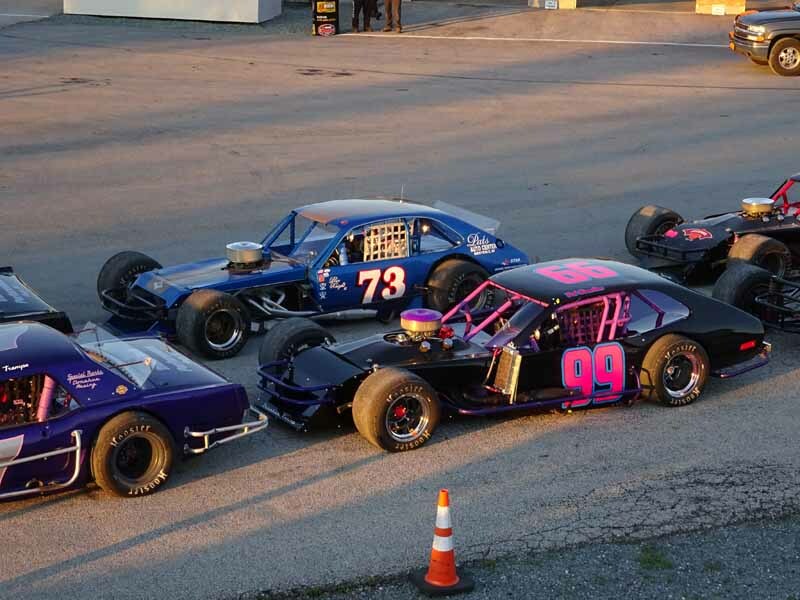 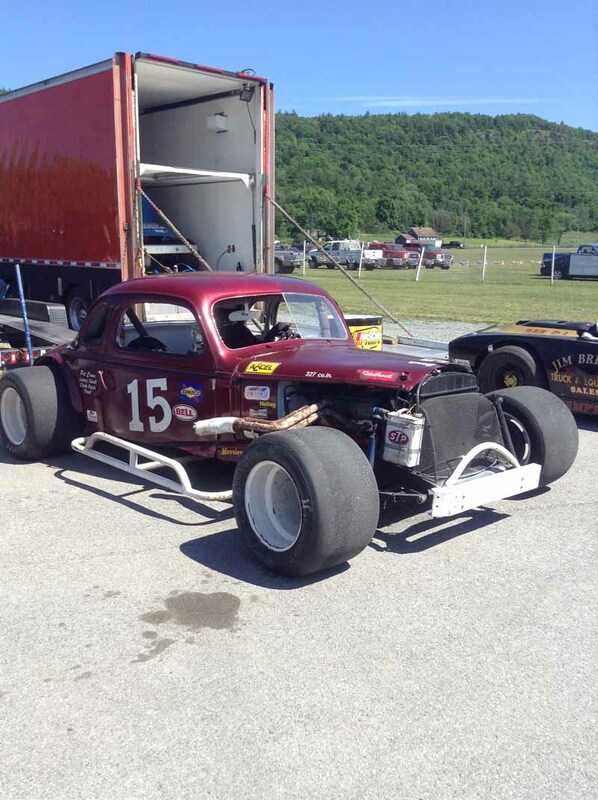 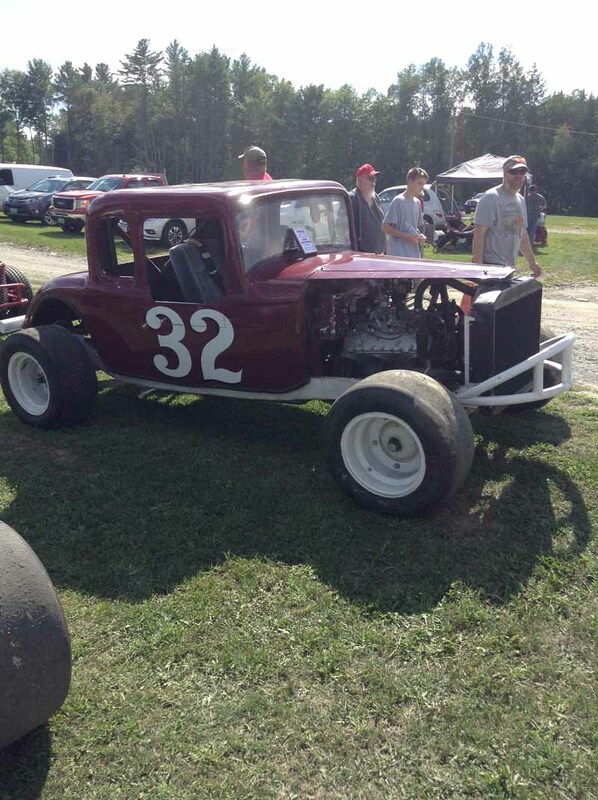 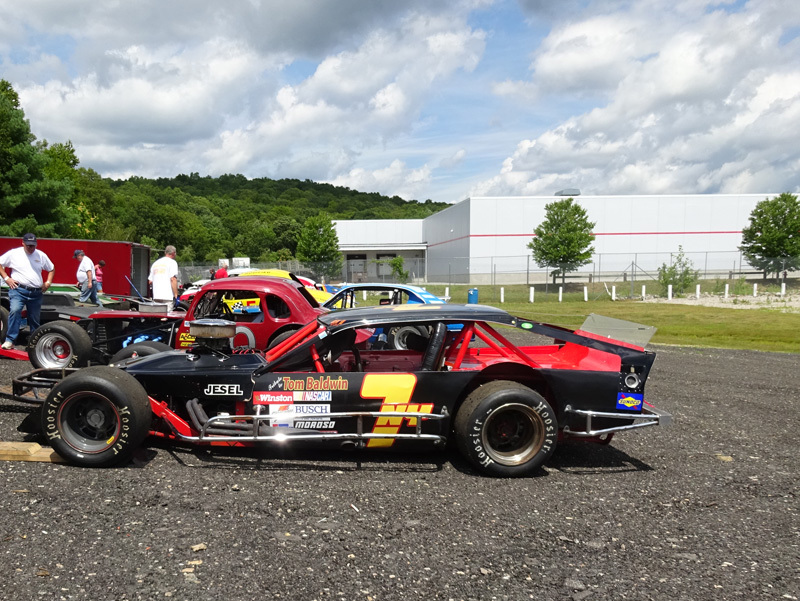 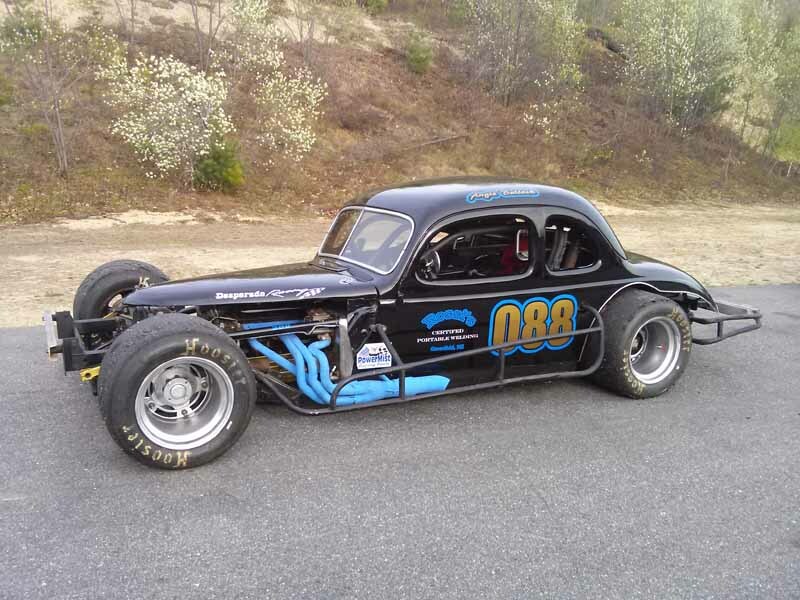 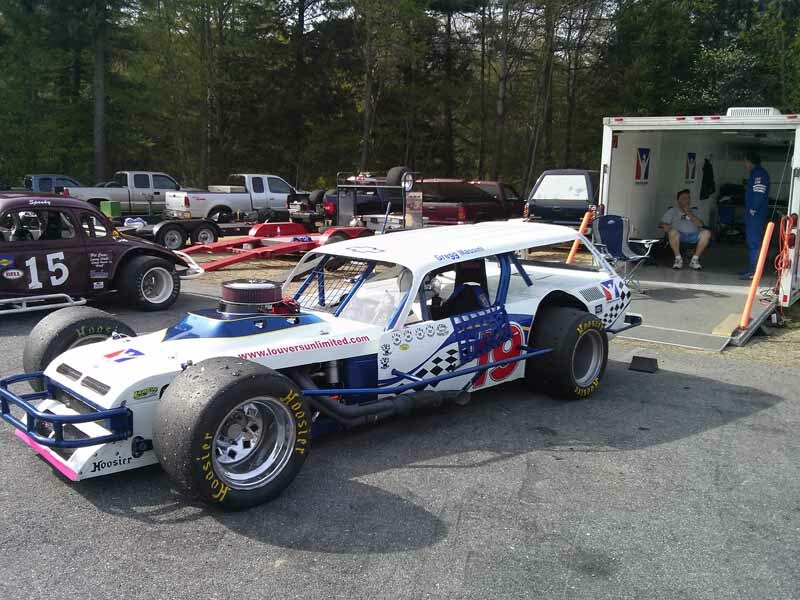 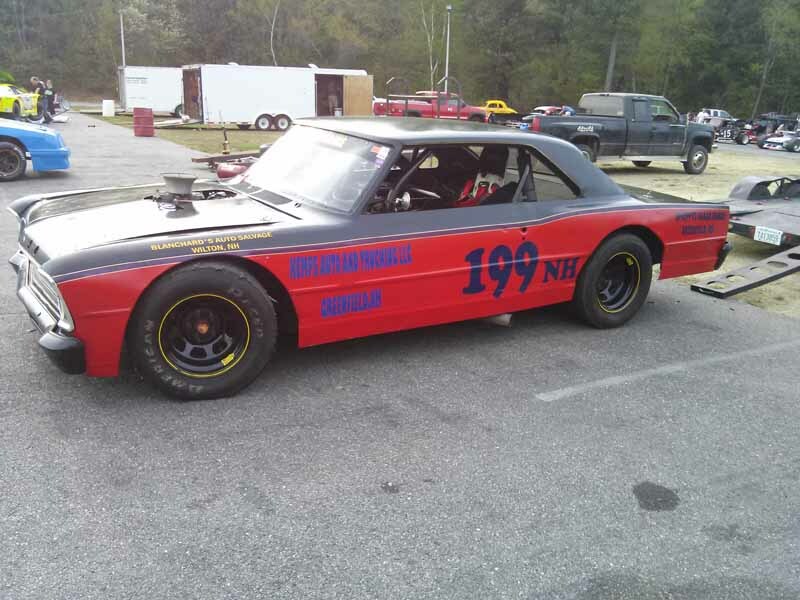 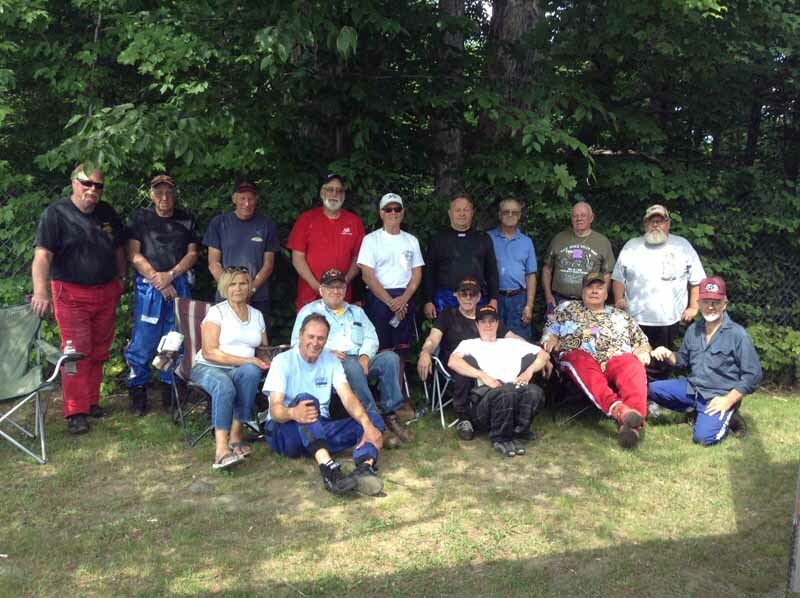 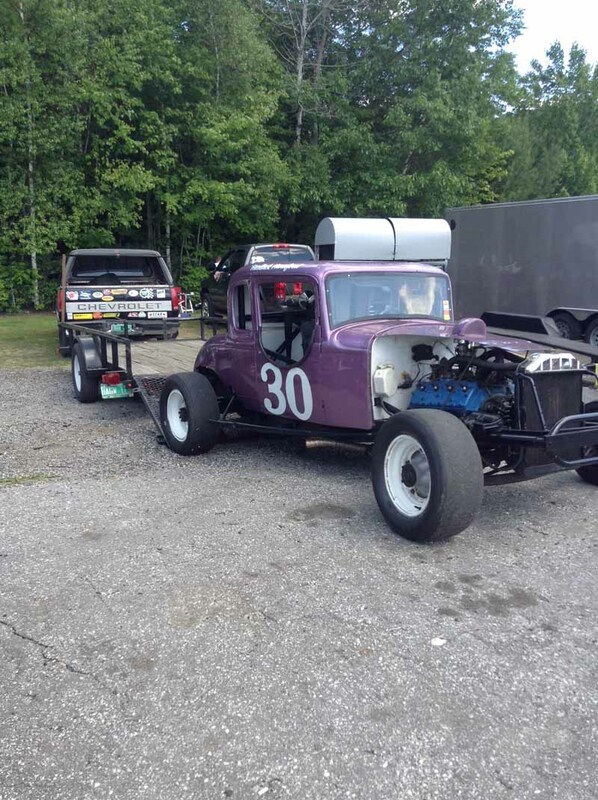 Scott now enjoys Vintage Modified racing with New England racers, traveling to many of the New England race tracks. In vintage racing he is the 2013 NEAR Champion; and also the 2014, 2015 and 2016 Senior Tour Auto Racers (STAR) Champion. 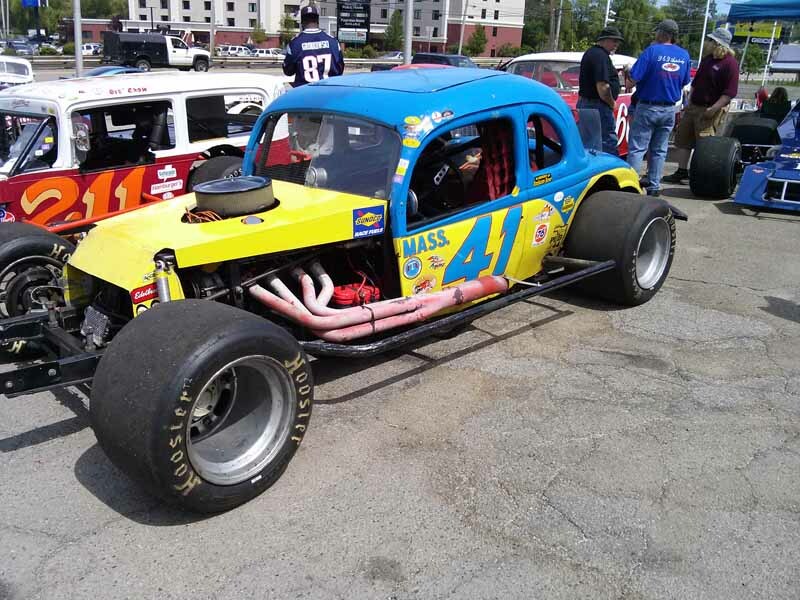 His biggest enjoyment is meeting his racing heroes in person after following their careers as a kid.